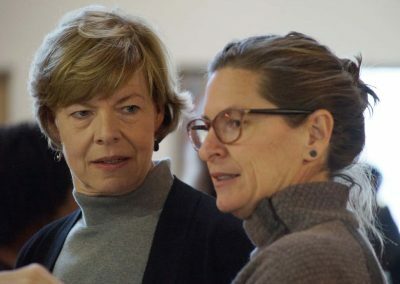 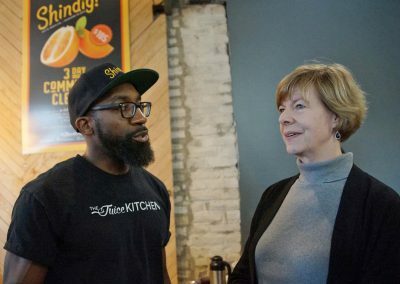 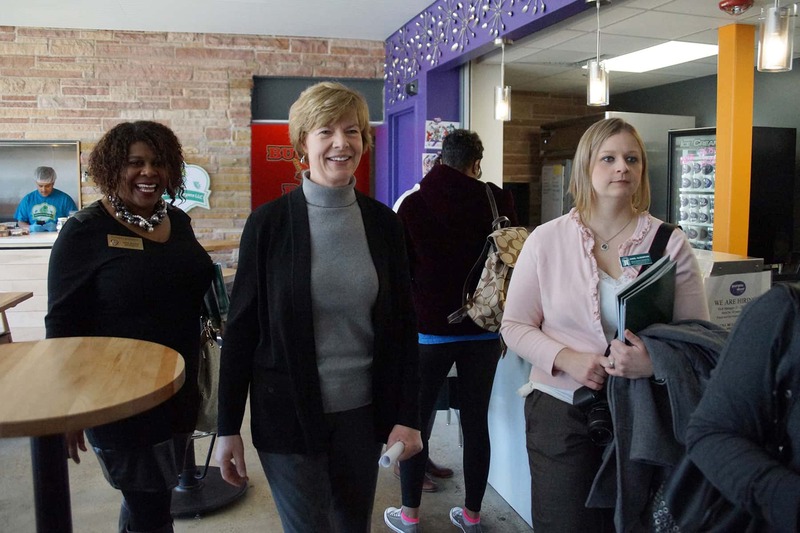 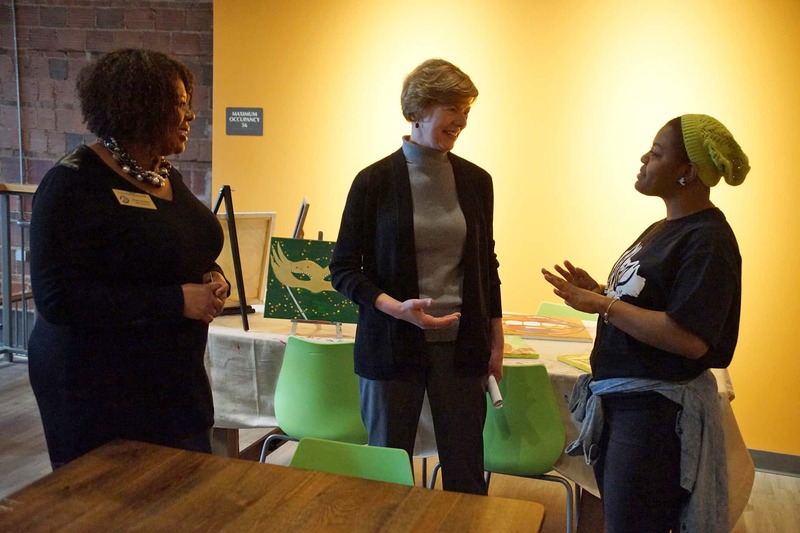 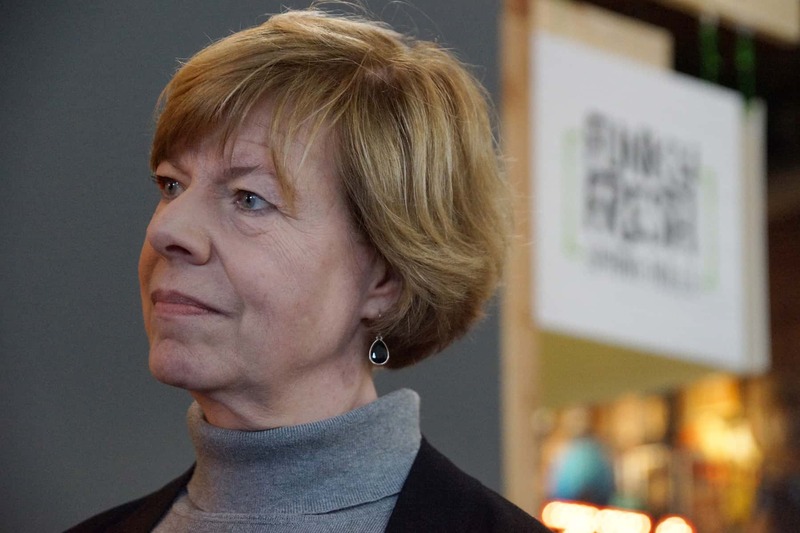 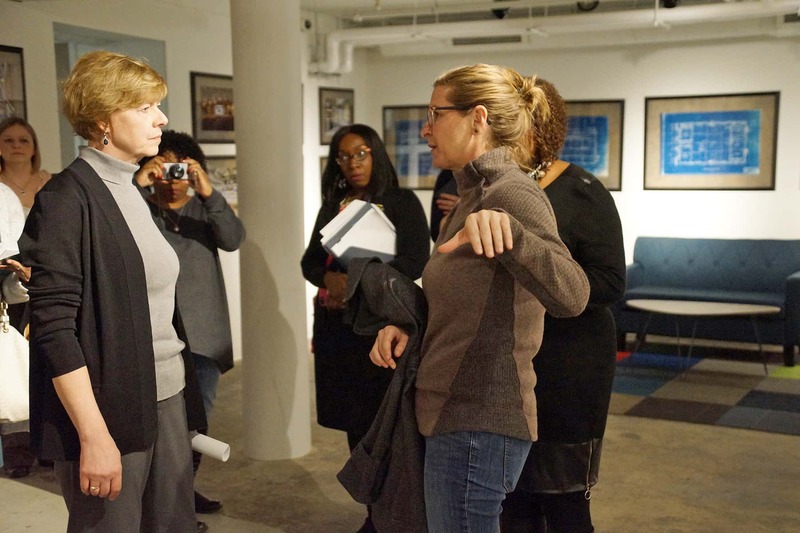 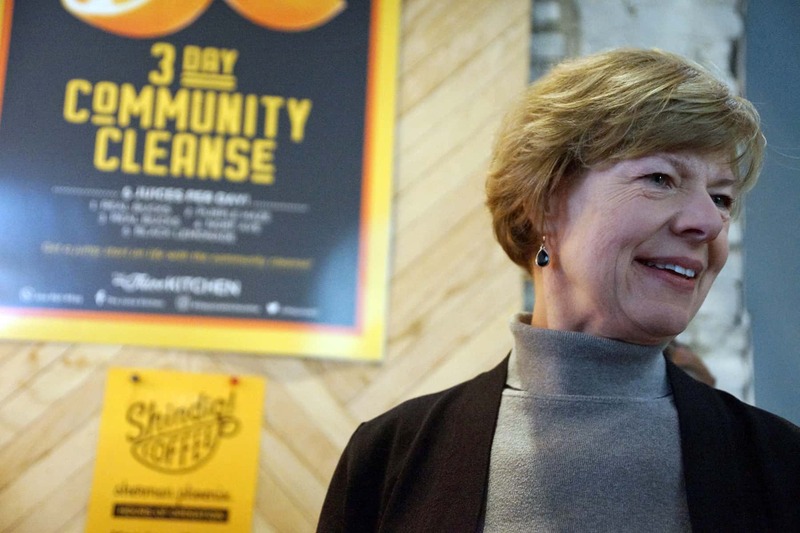 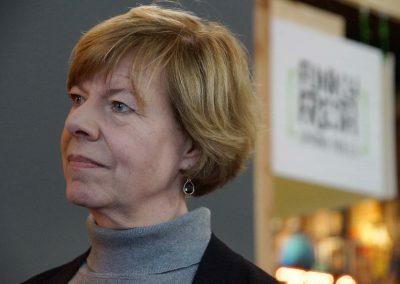 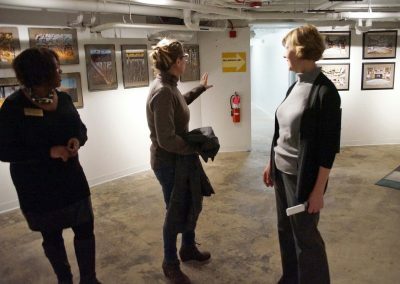 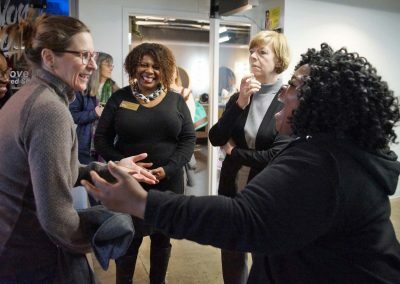 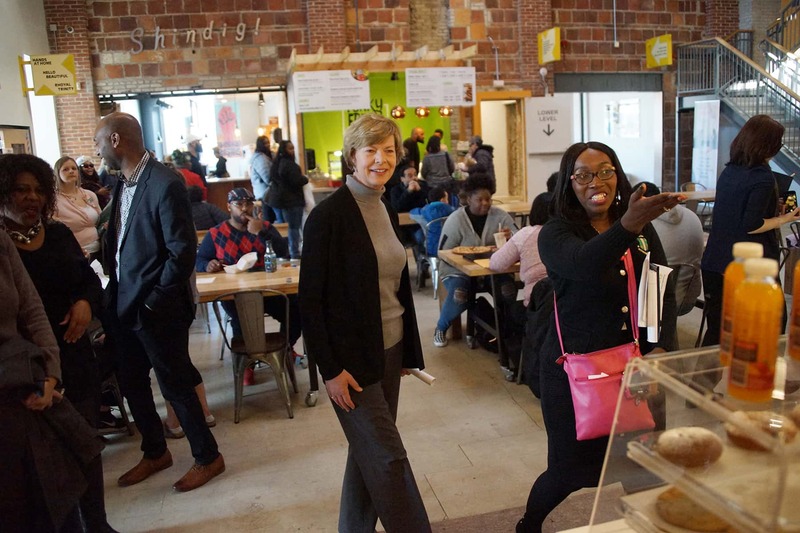 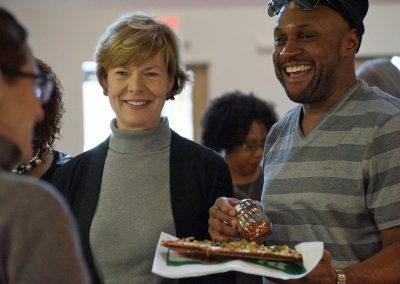 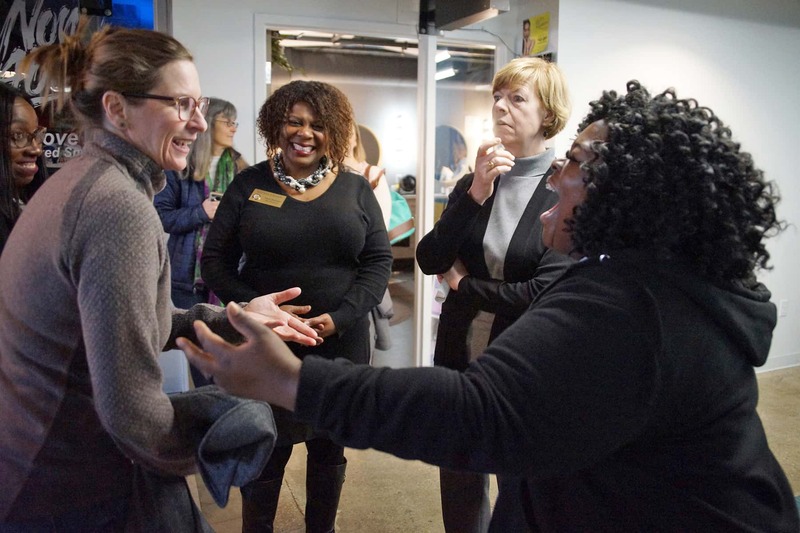 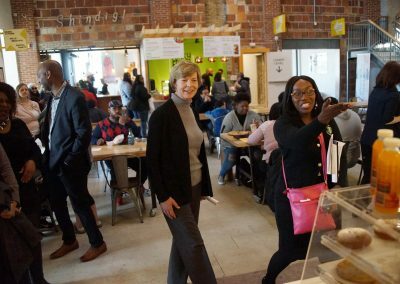 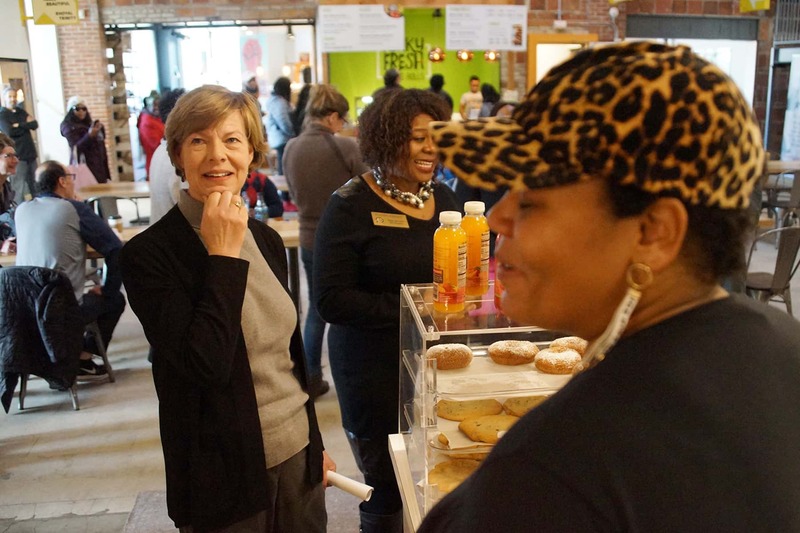 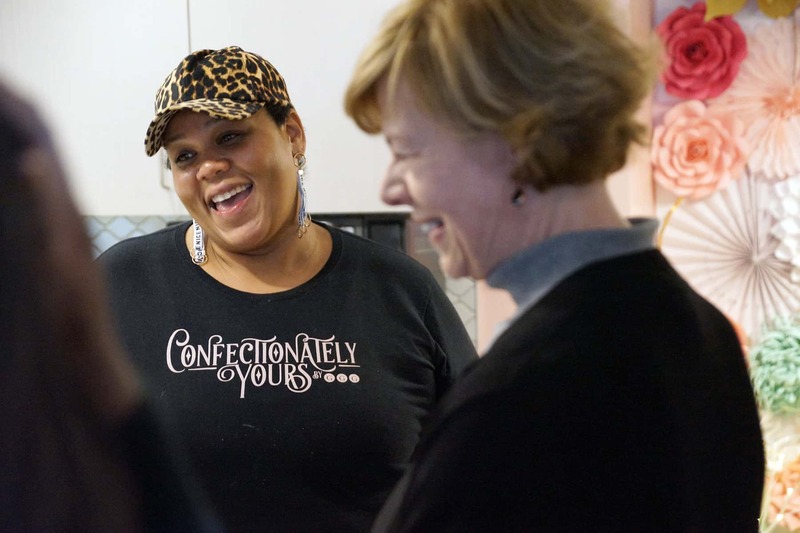 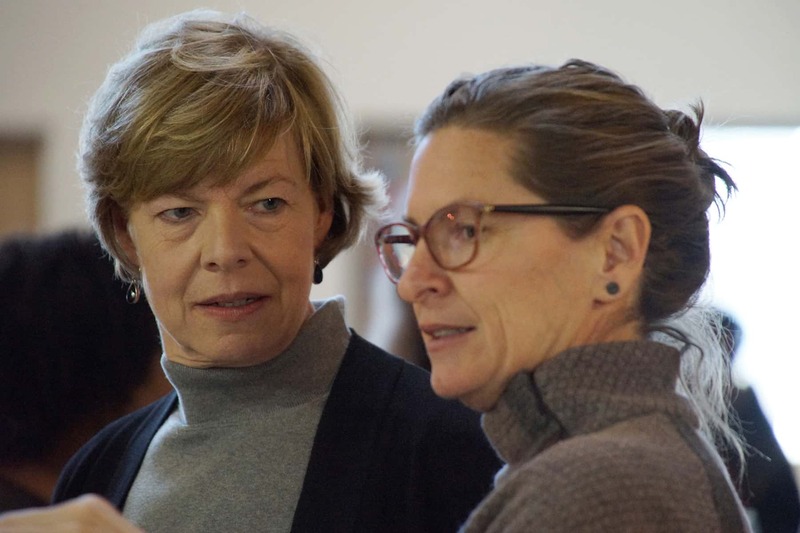 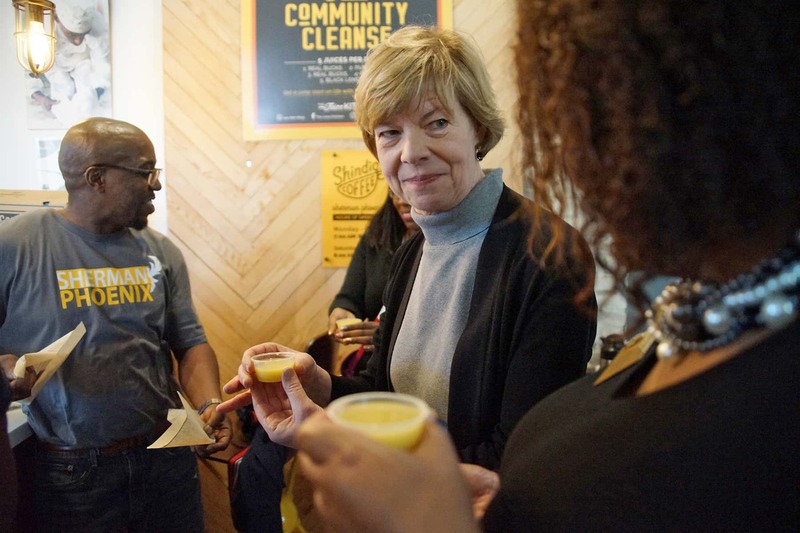 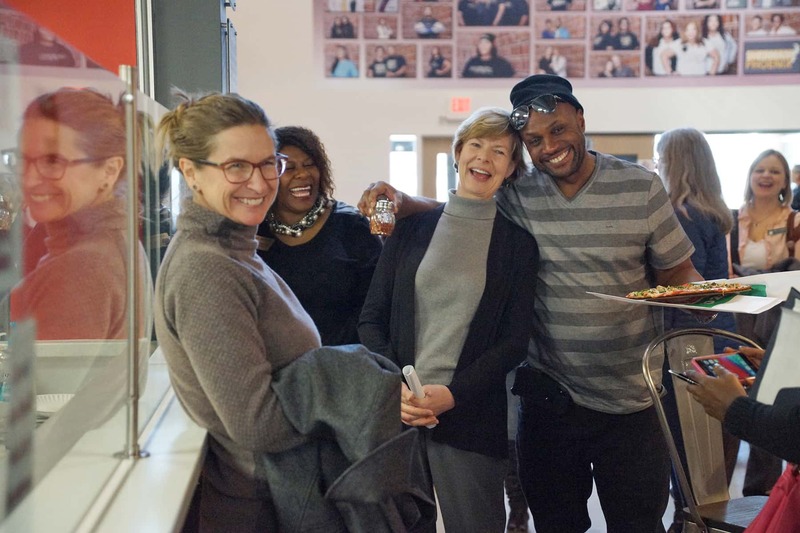 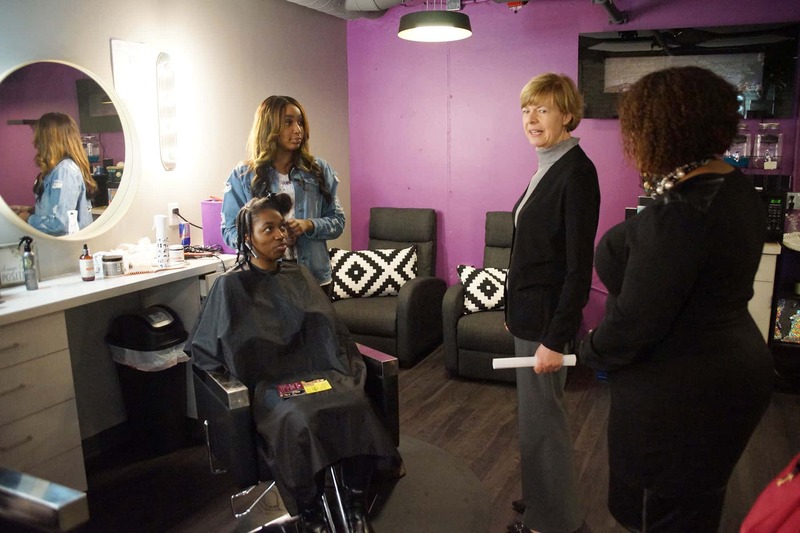 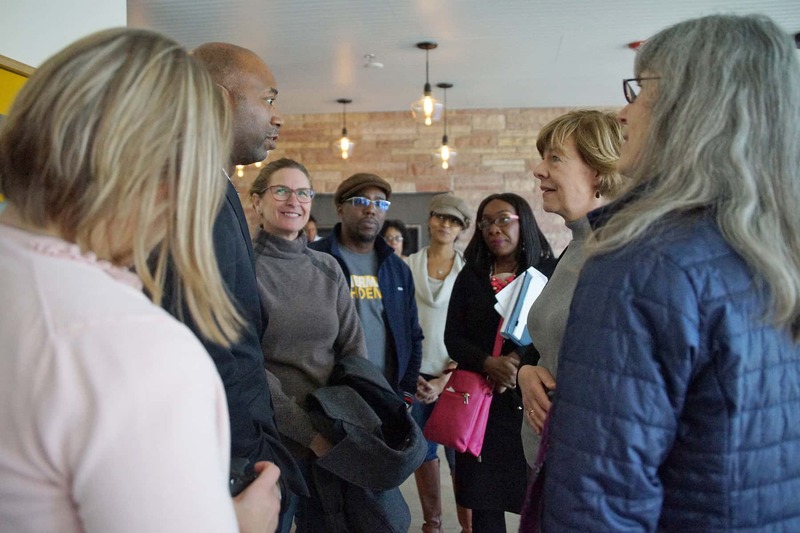 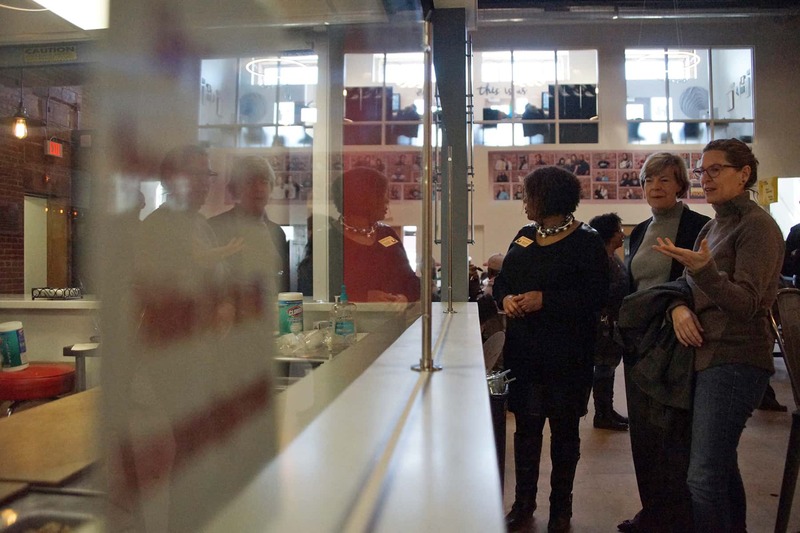 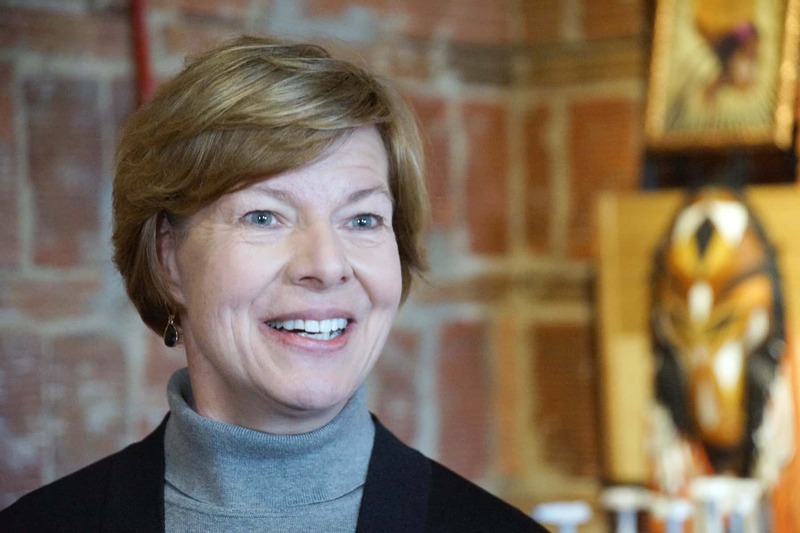 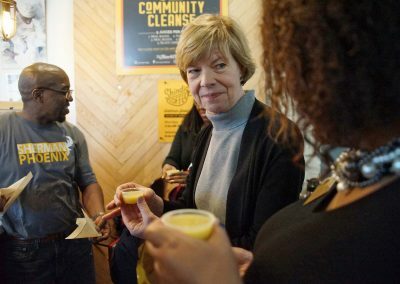 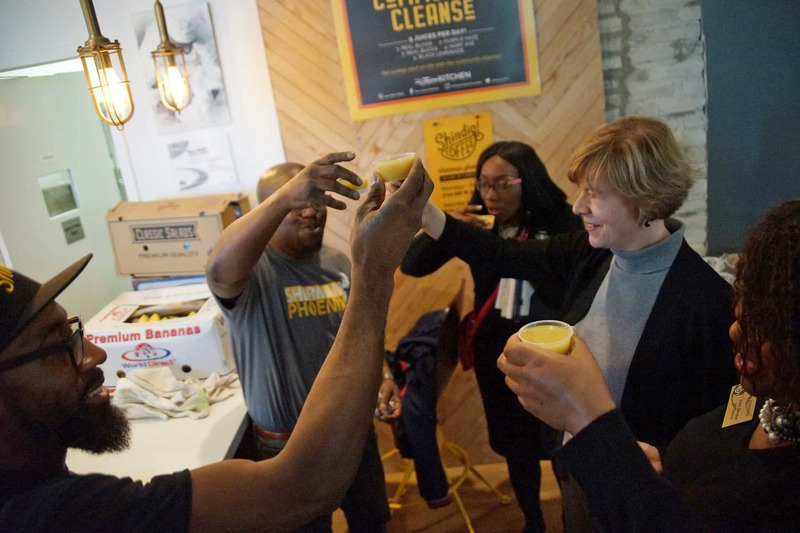 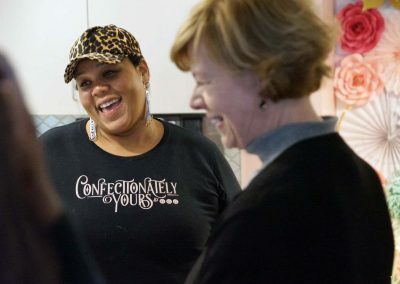 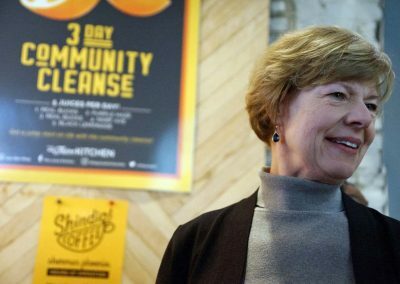 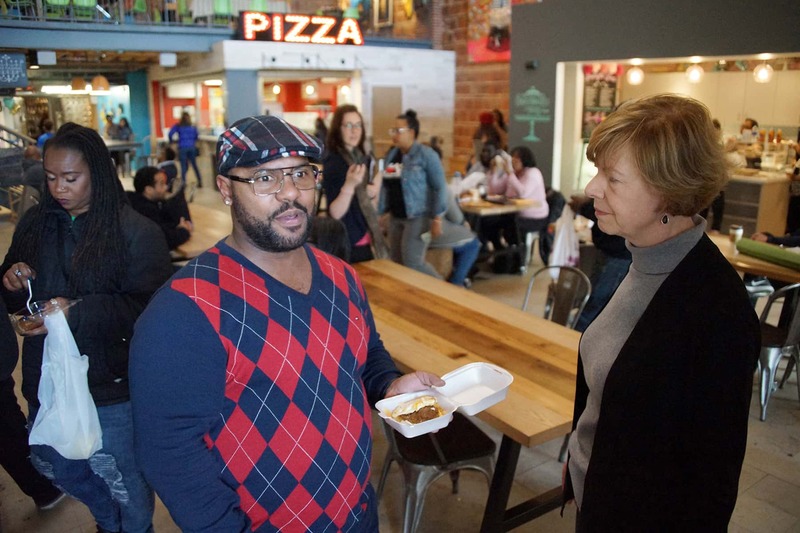 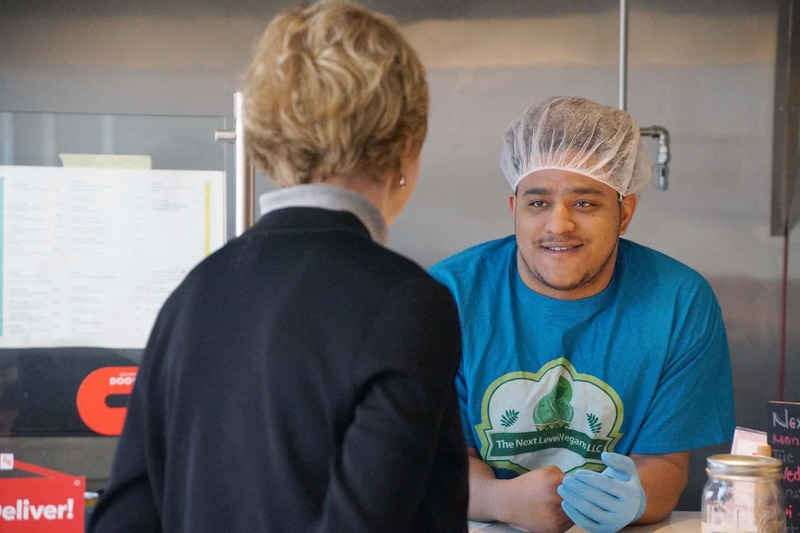 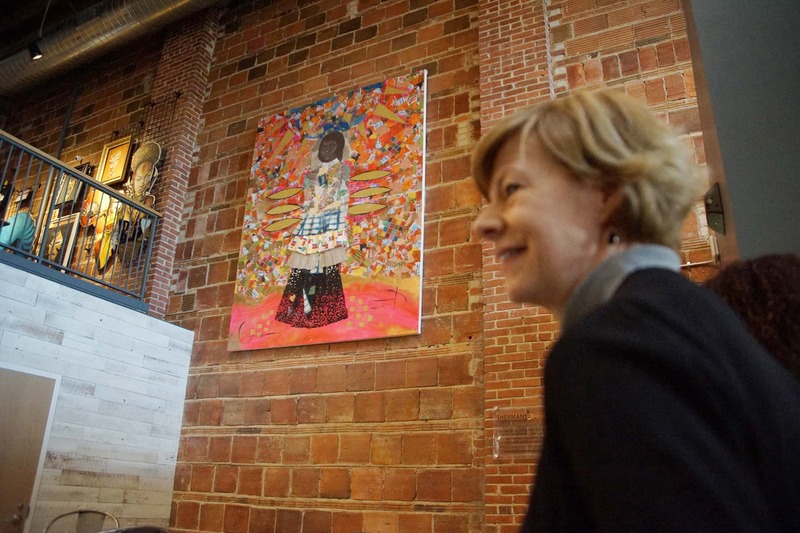 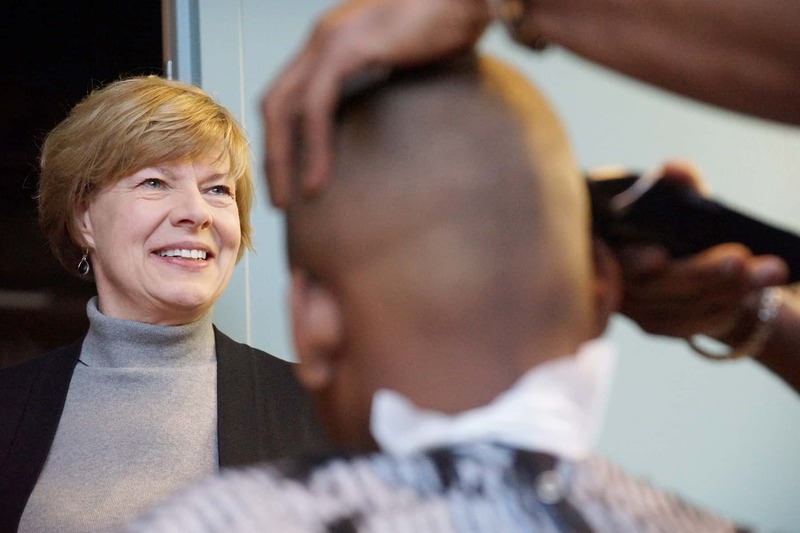 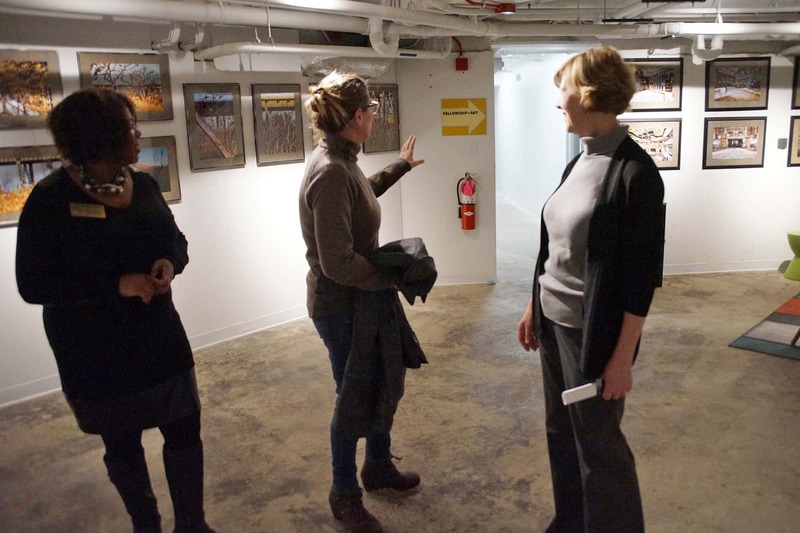 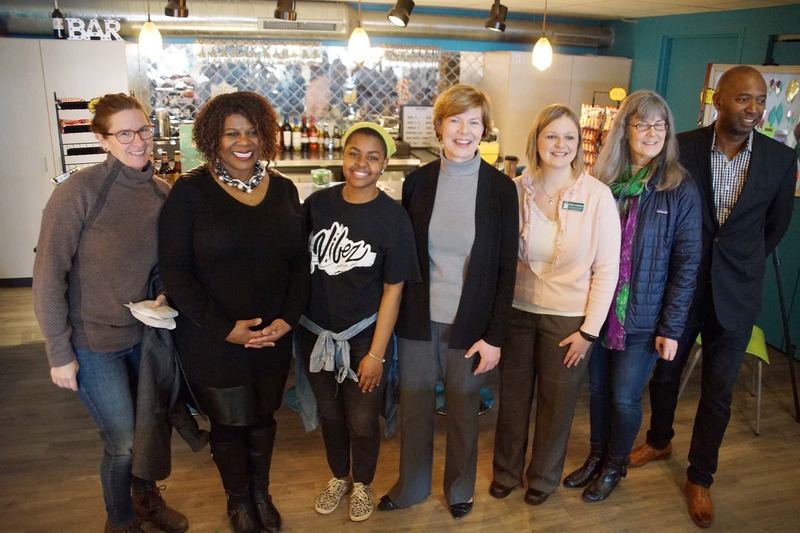 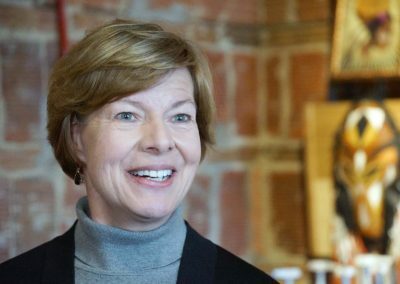 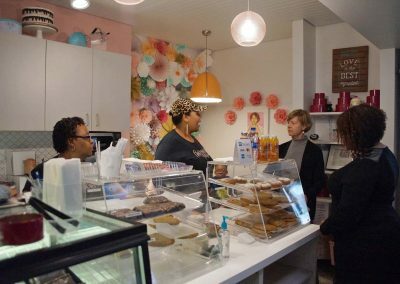 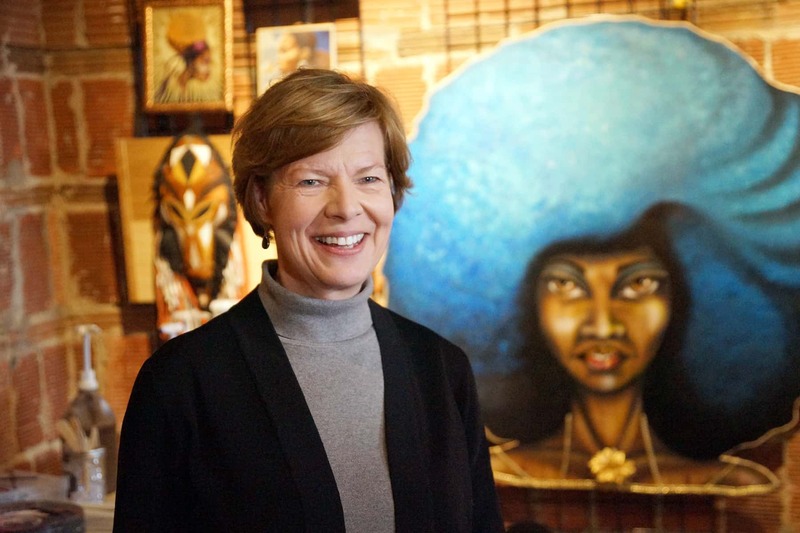 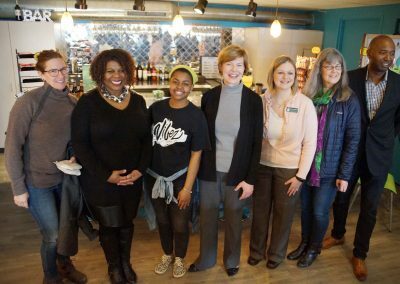 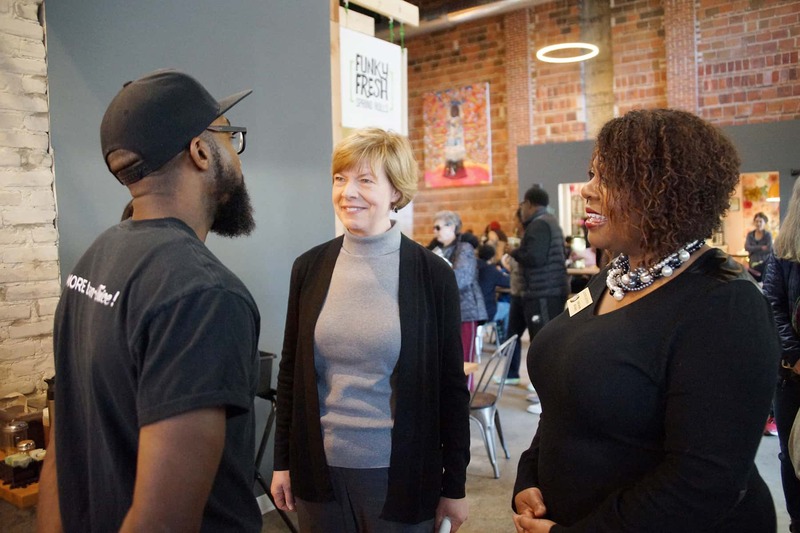 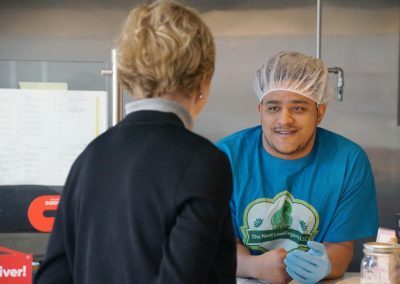 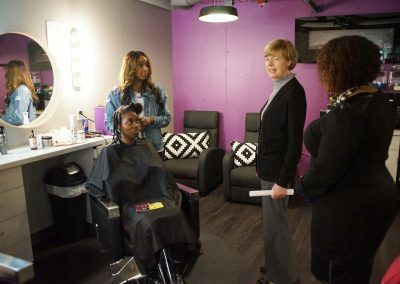 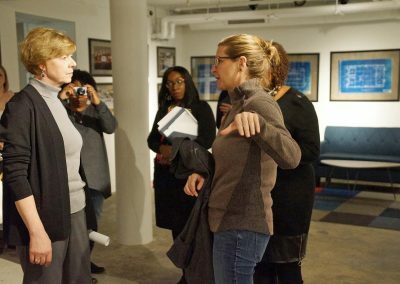 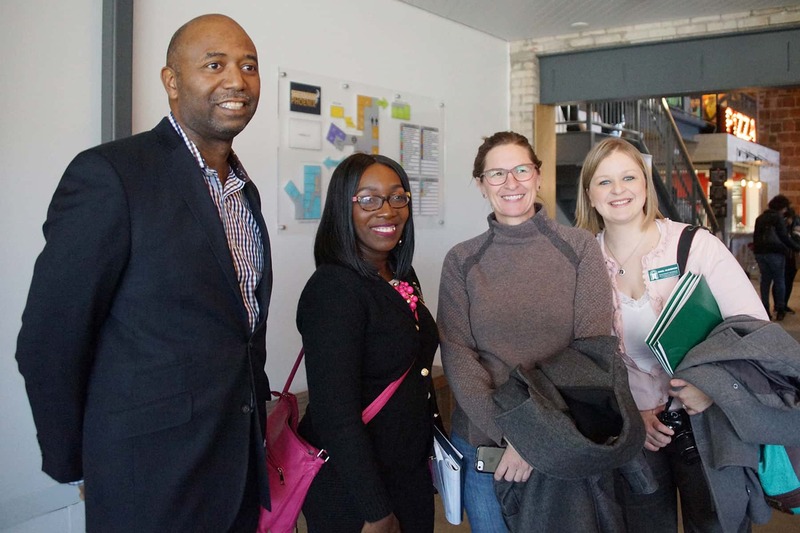 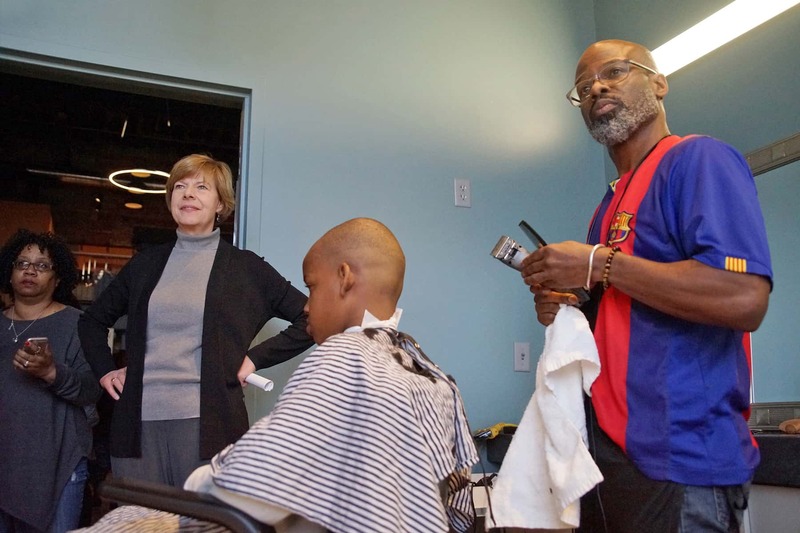 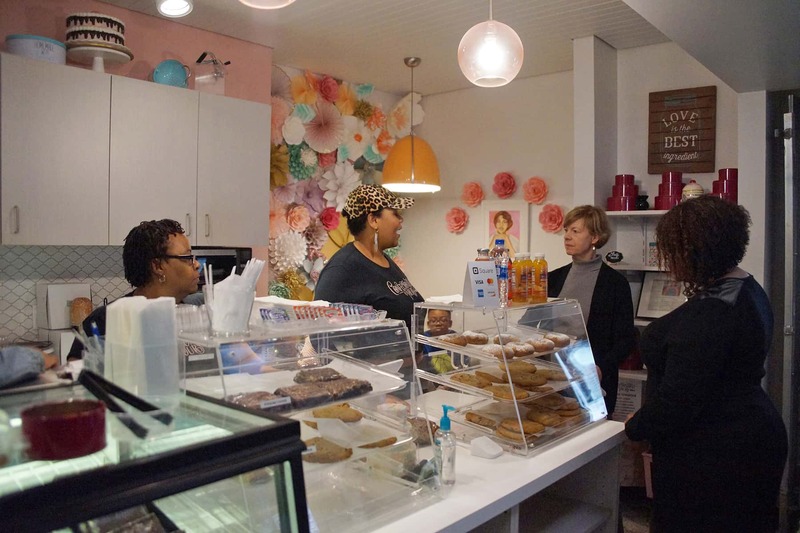 United States Senator Tammy Baldwin visited the new Sherman Phoenix and met with small business owners and employees on March 16, celebrating the neighborhood entrepreneurial hub that she helped secure redevelopment funding for. 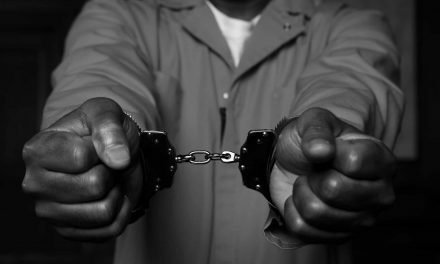 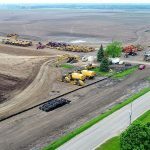 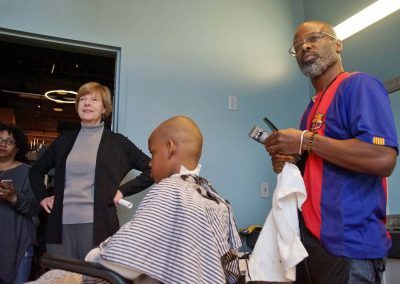 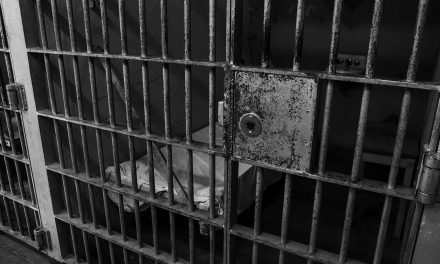 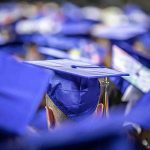 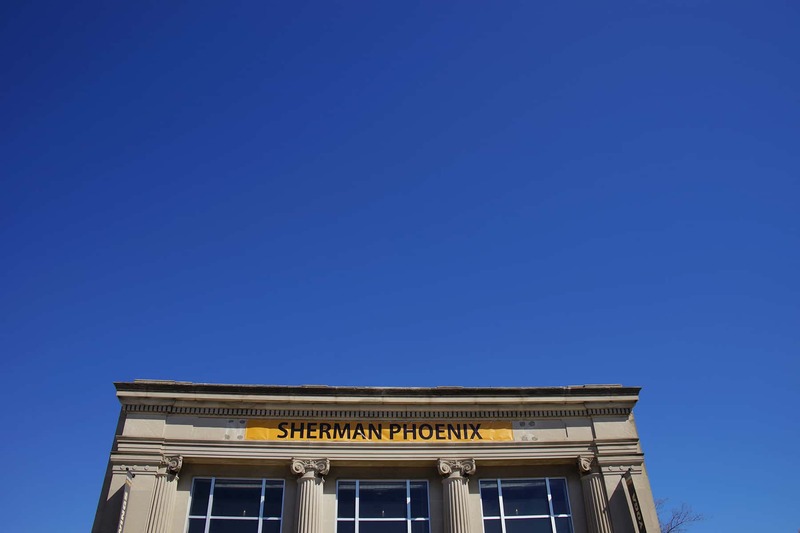 Senator Baldwin successfully advocated for a $750,000 grant from the U.S. Department of Health and Human Services – Office of Community Services (OCS) to support the Sherman Phoenix Project last year. 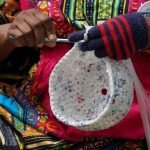 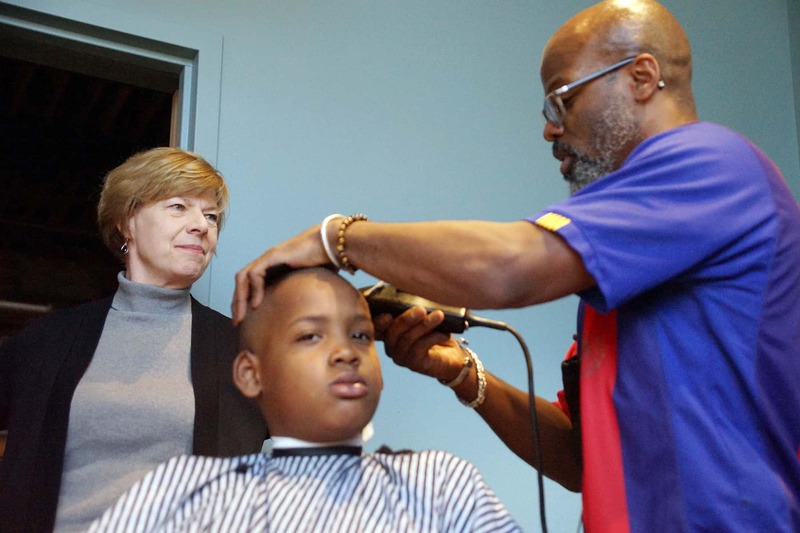 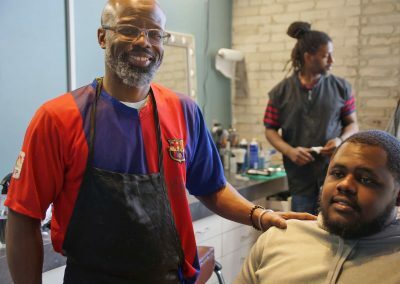 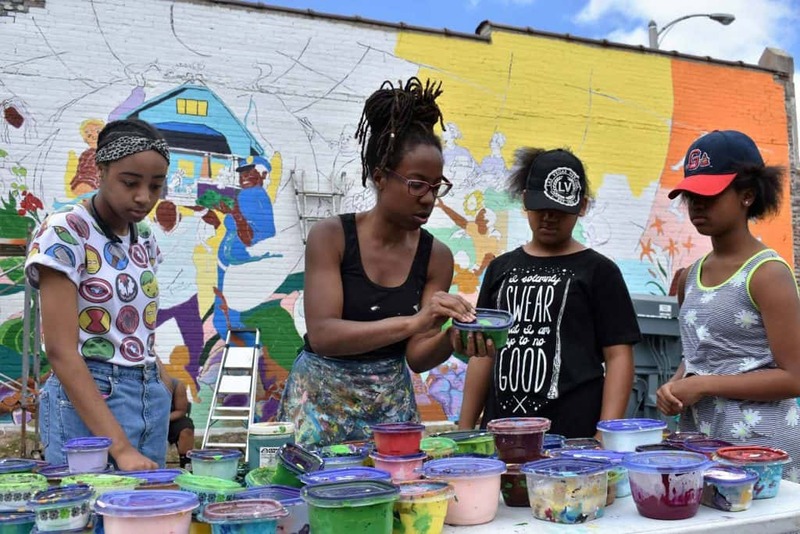 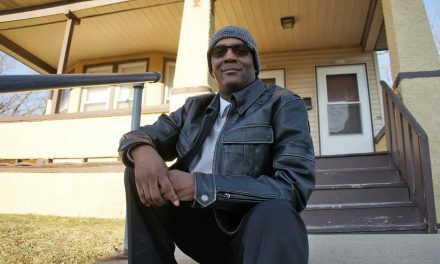 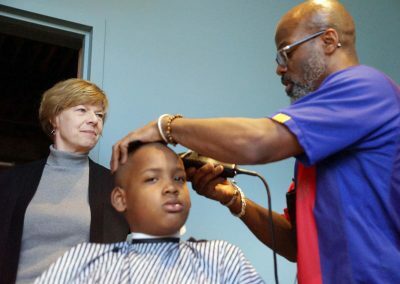 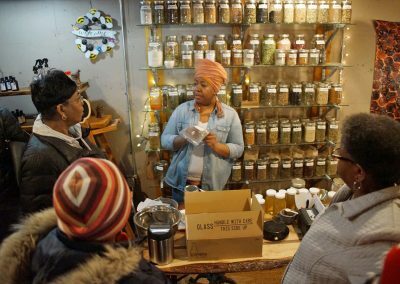 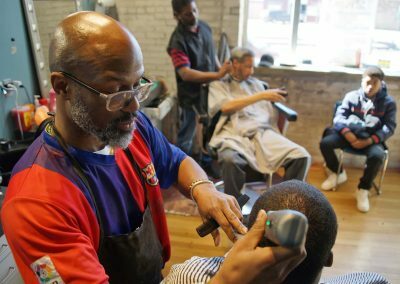 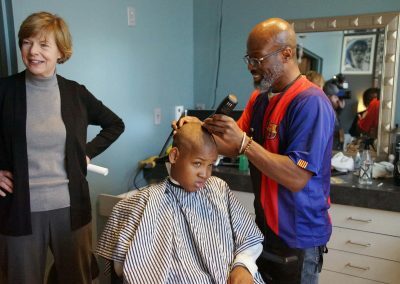 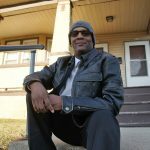 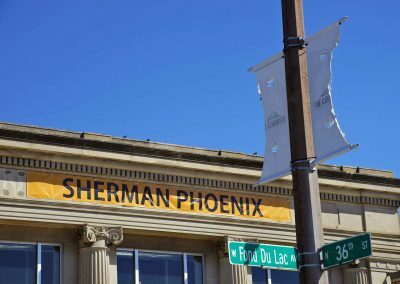 The federal money helped close the funding gap for the critical economic project in Milwaukee’s Sherman Park neighborhood. 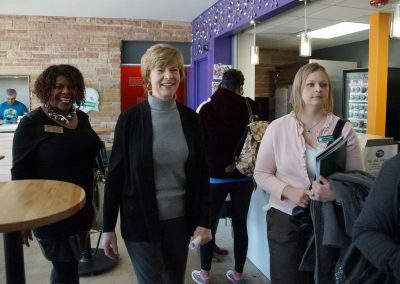 The federal funds were awarded to the Wisconsin Women’s Business Initiative Corporation (WWBIC) for their efforts directly supporting the project – designed to transform a vacant building into a high-quality commercial space for 29 small entrepreneurs that would offer prepared foods, wellness services, and arts and cultural activities. 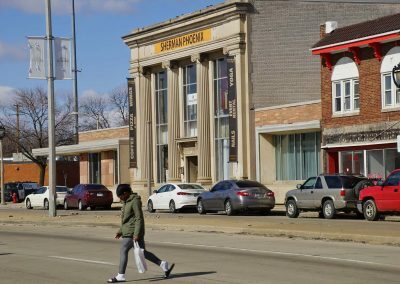 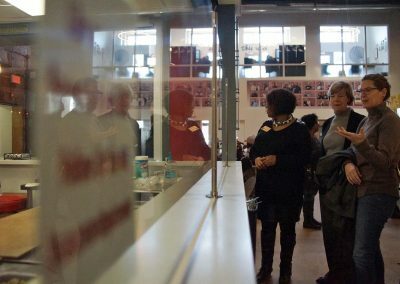 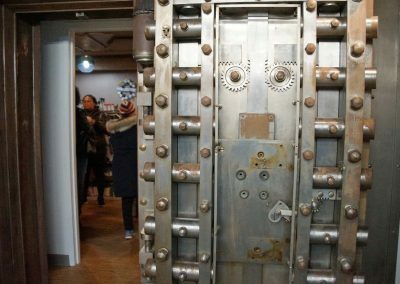 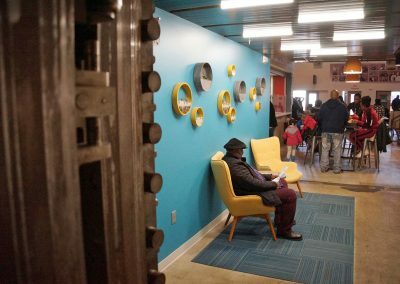 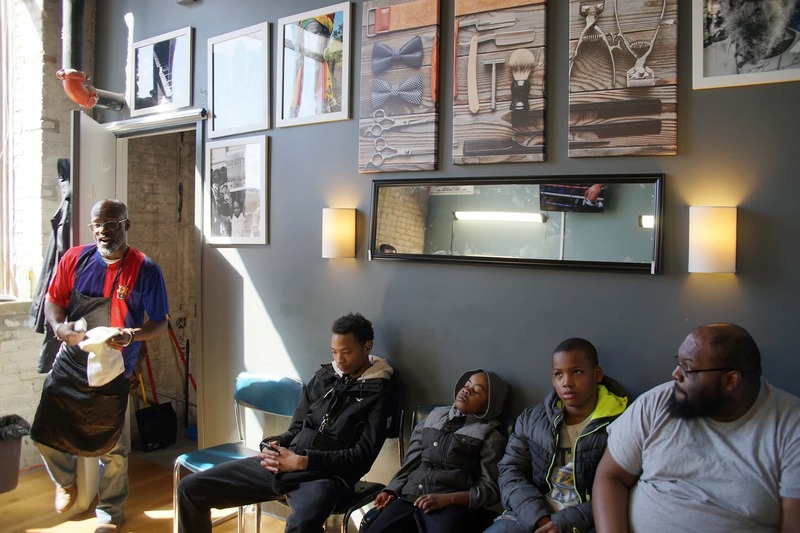 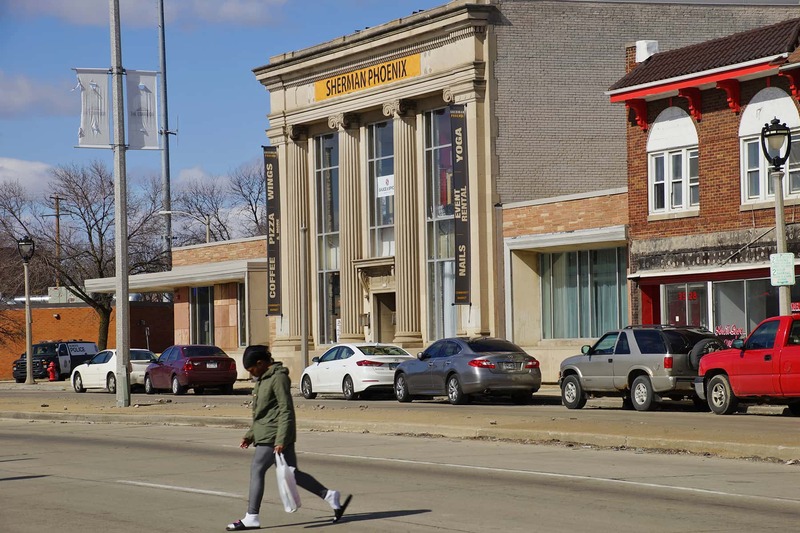 Sherman Phoenix redeveloped a former BMO Harris Bank that was set ablaze during the 2016 unrest in Sherman Park, part of a cluster of incidents that followed the police shooting of Sylville Smith. 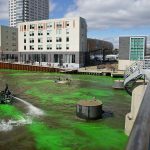 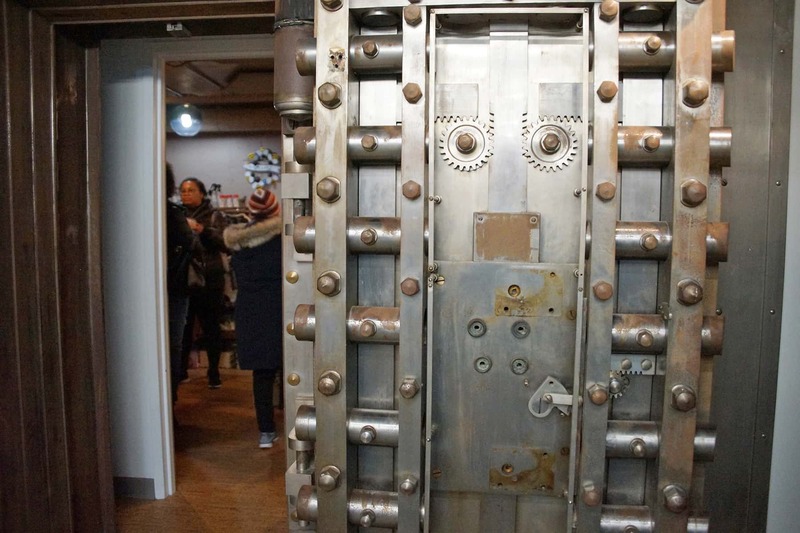 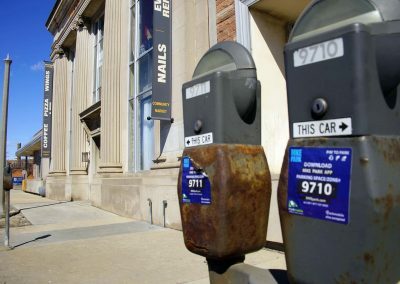 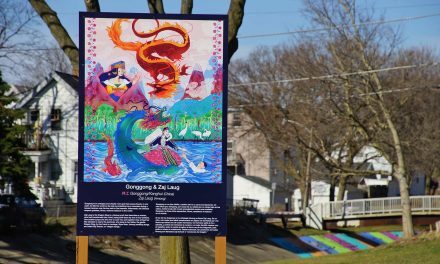 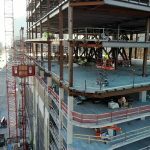 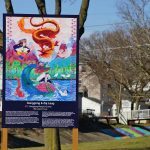 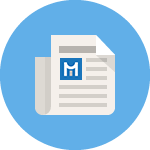 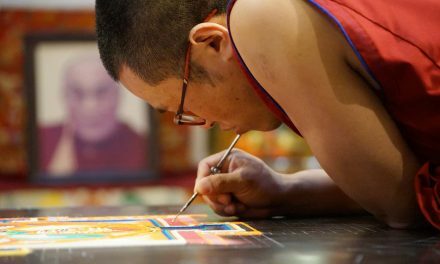 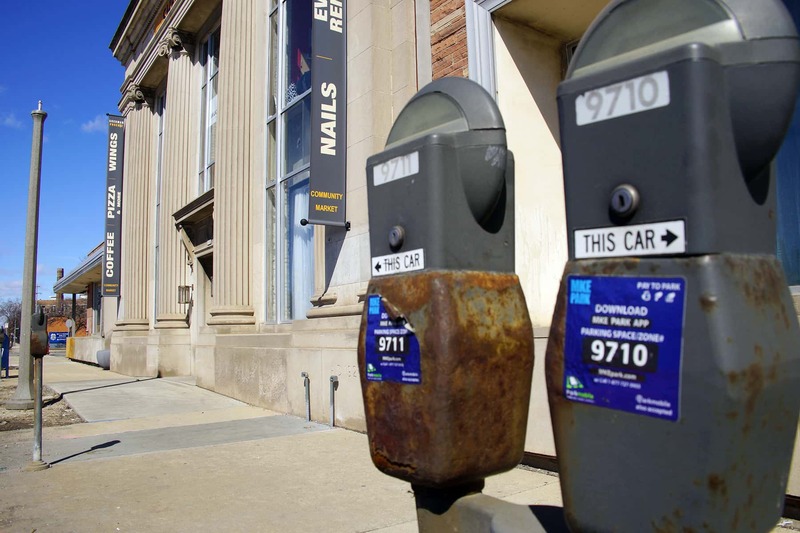 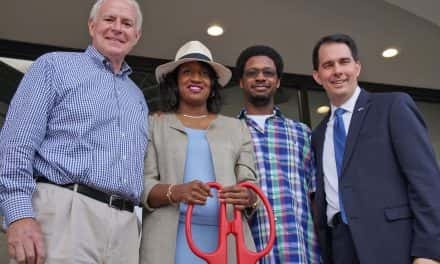 The project used a mix of financing, with dozens of community investors and philanthropic donors, incremental tax financing from the city, and state development grants to revitalize the area, create new jobs, and stimulate the local economy. 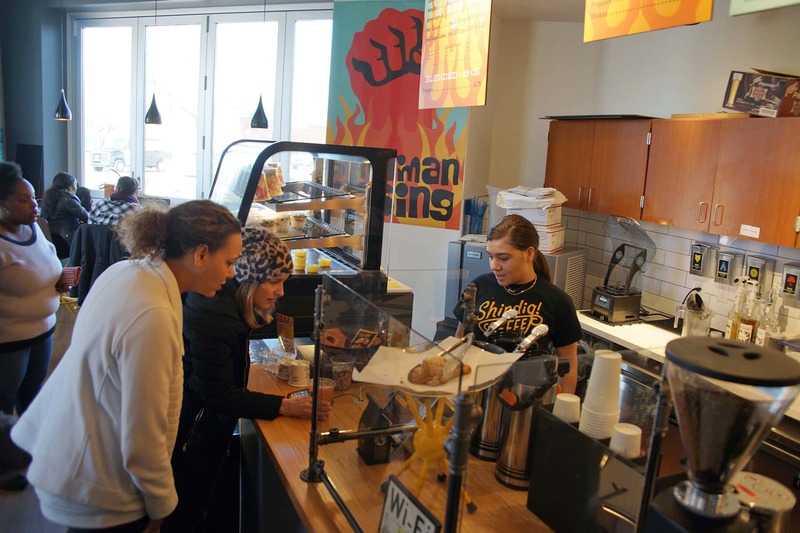 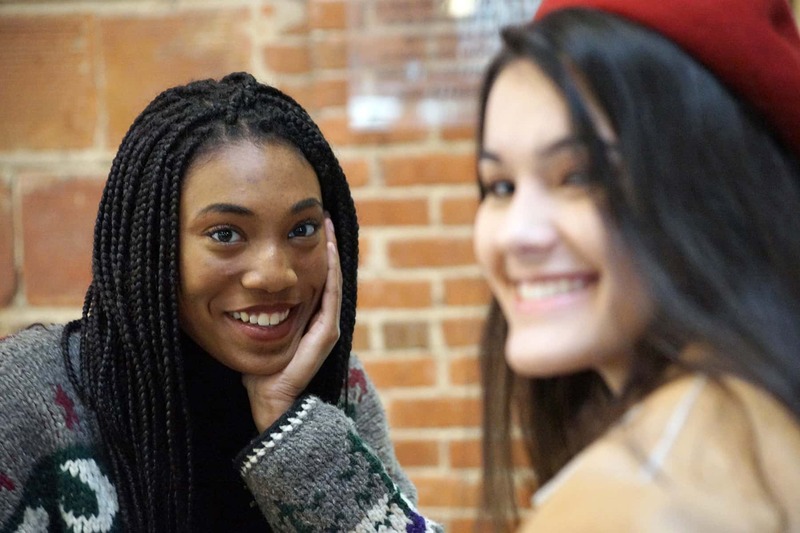 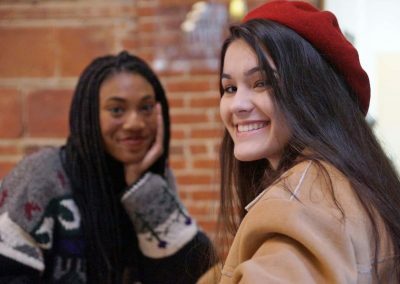 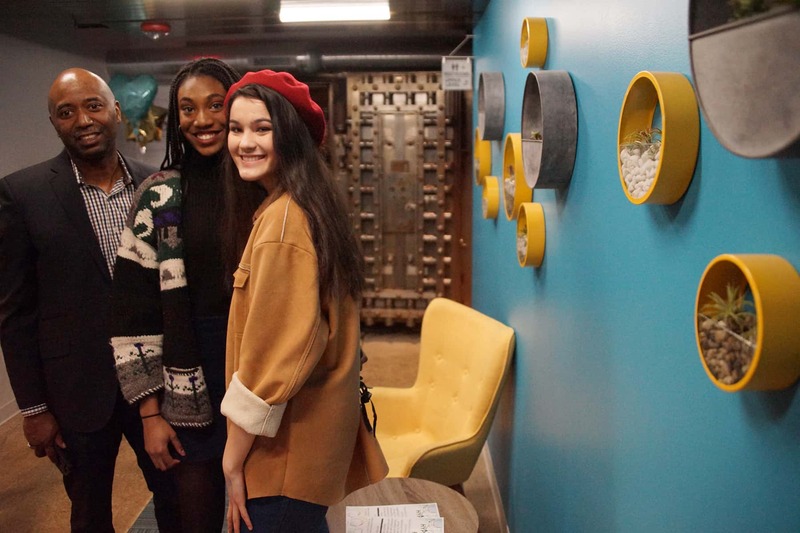 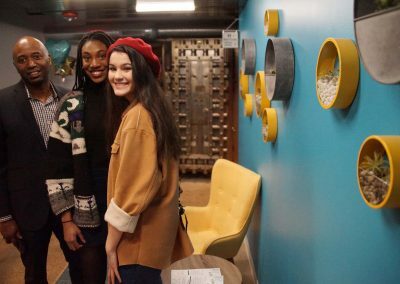 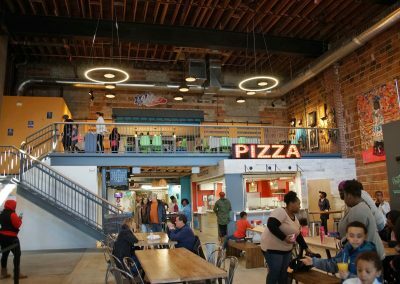 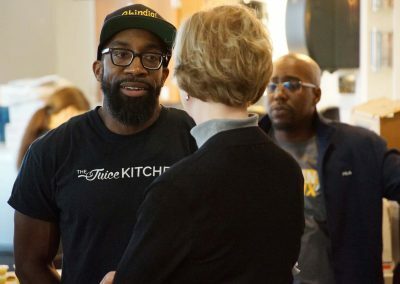 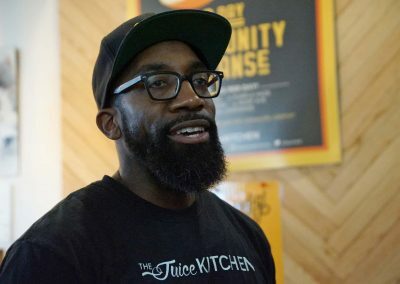 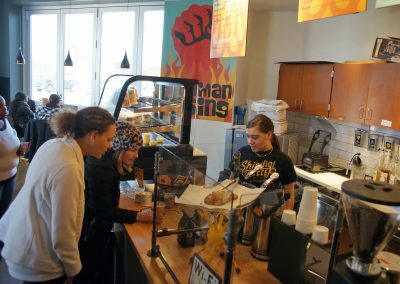 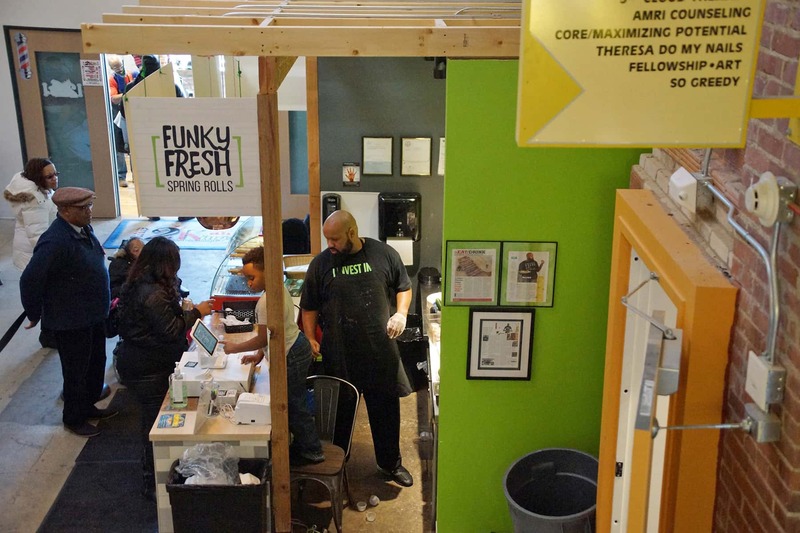 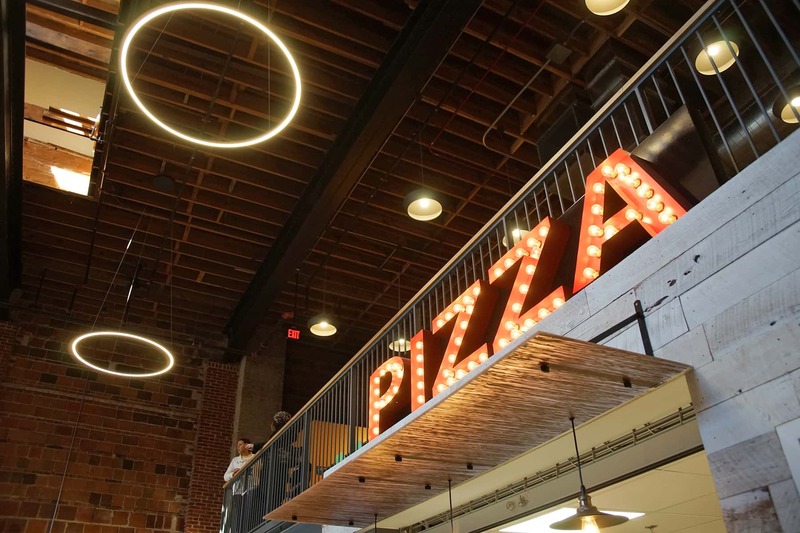 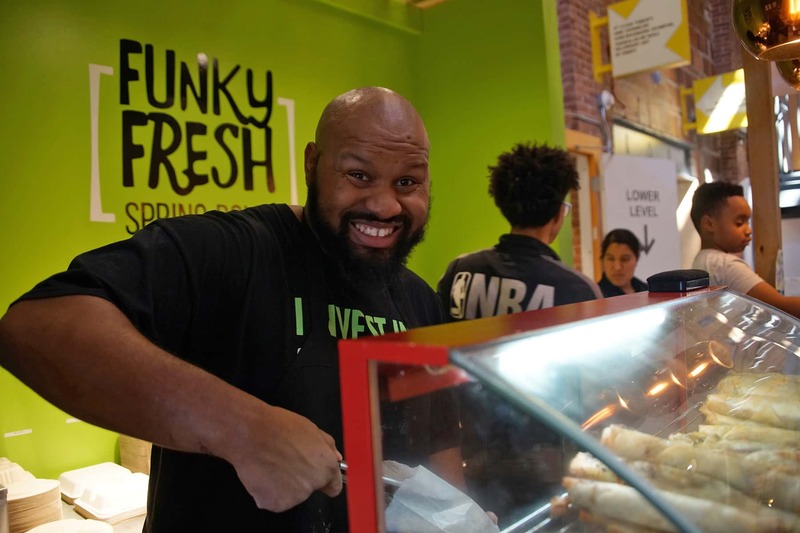 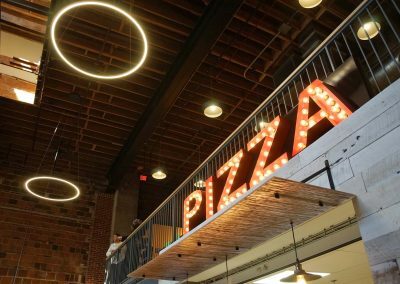 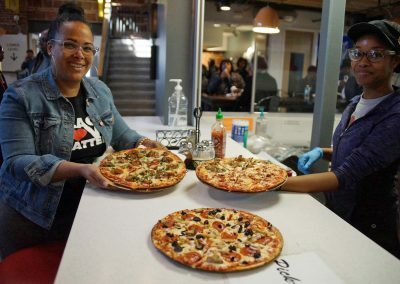 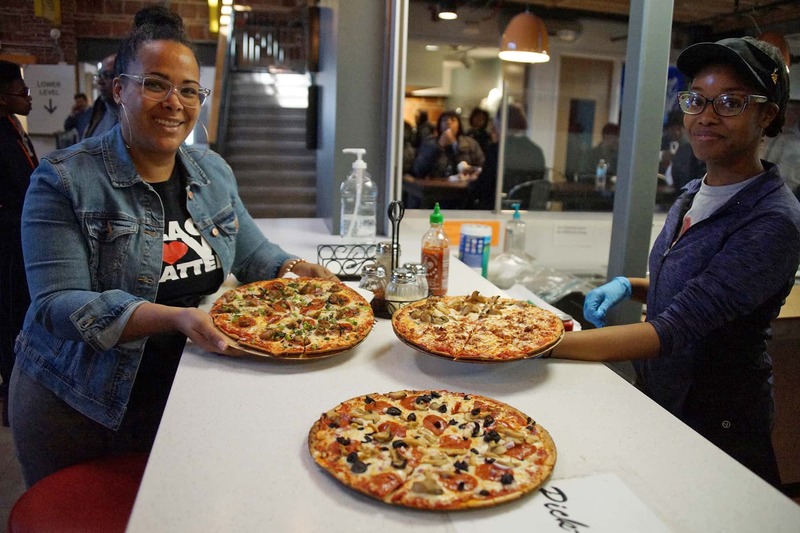 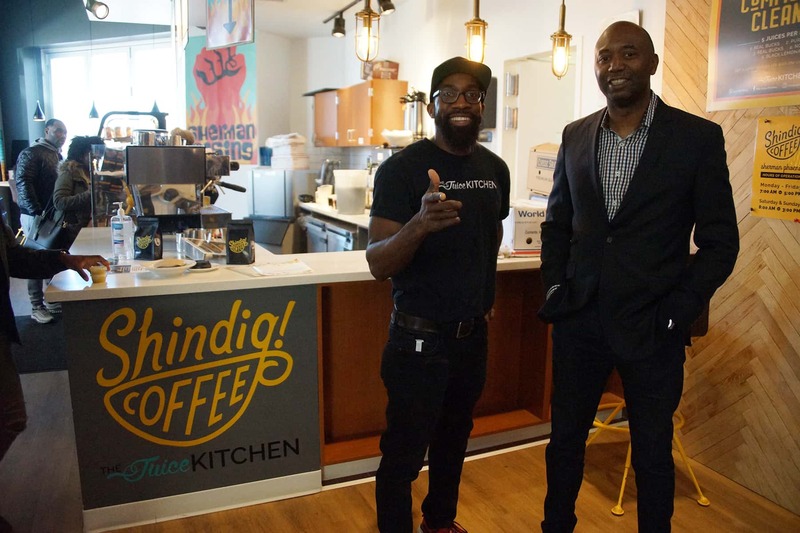 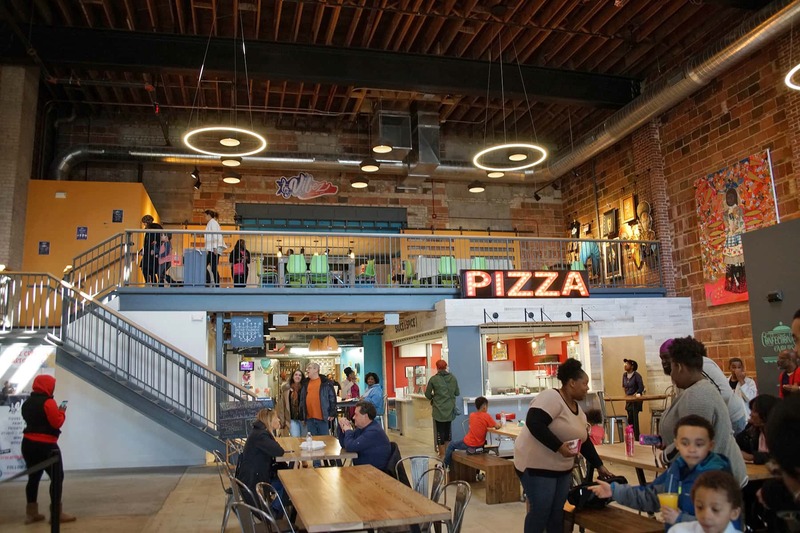 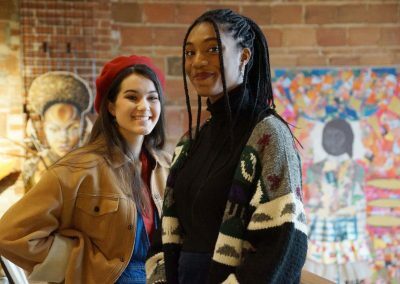 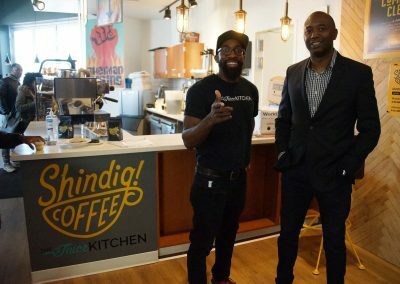 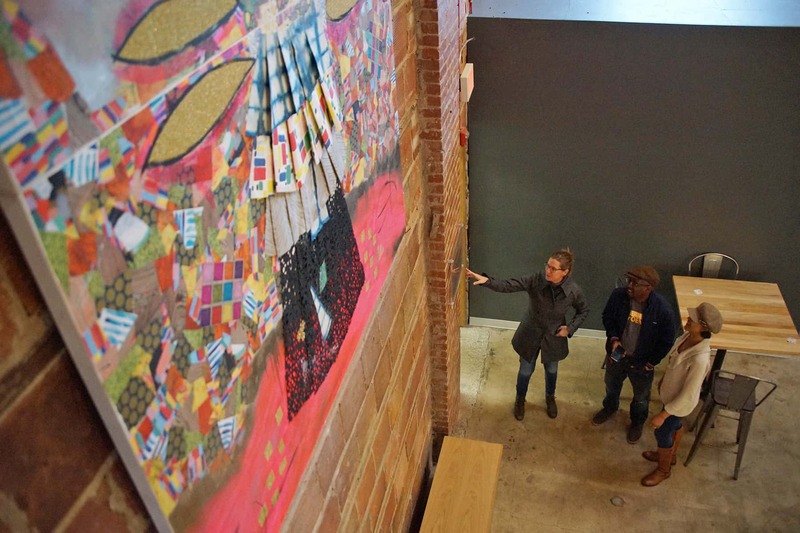 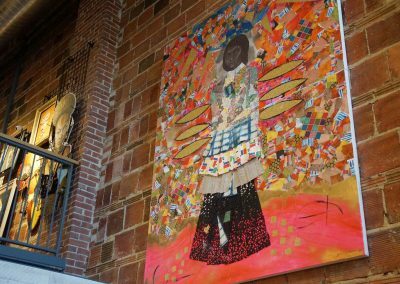 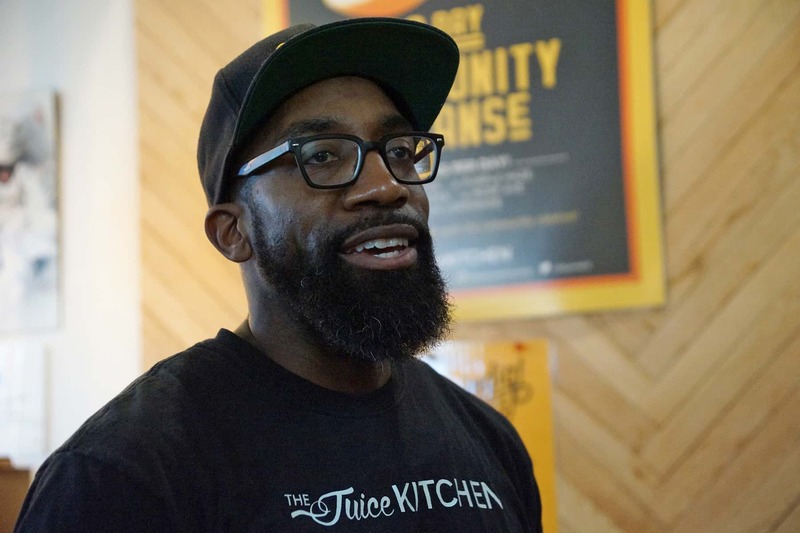 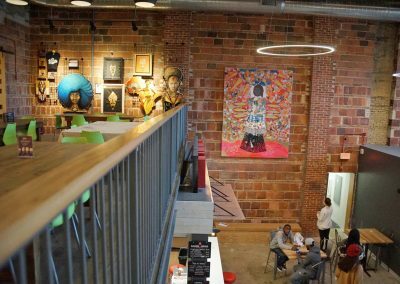 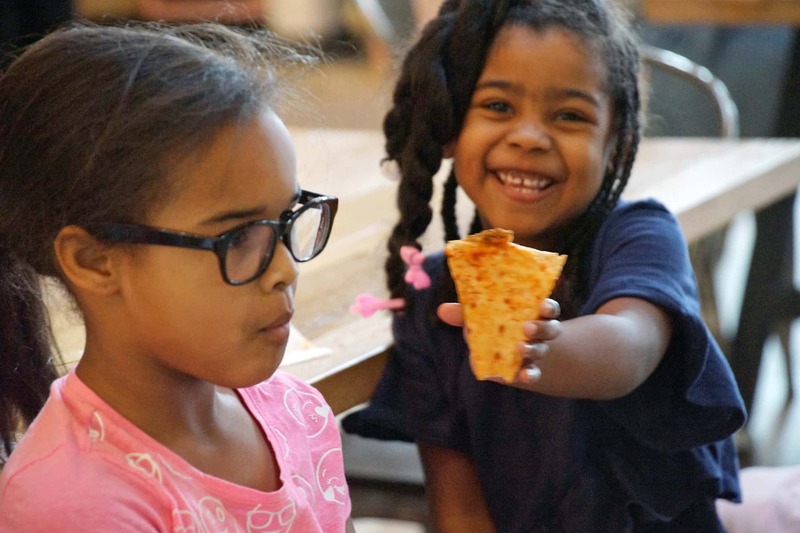 Juice Kitchen co-owner Johnson-Sabir and commercial real estate developer Juli Kaufmann led the redevelopment project by joining with others to bring their vision to life. 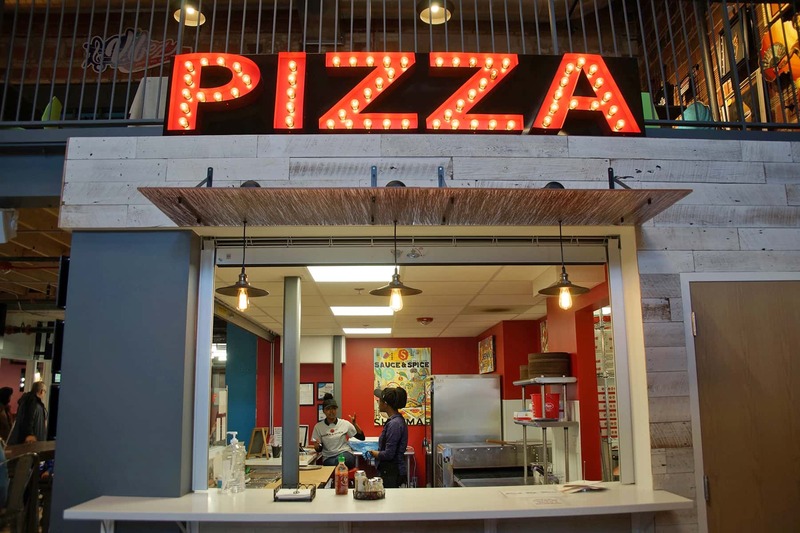 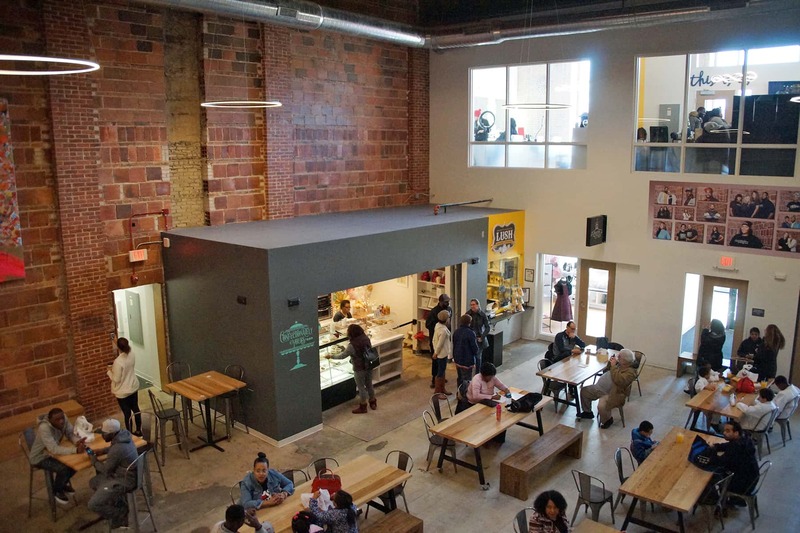 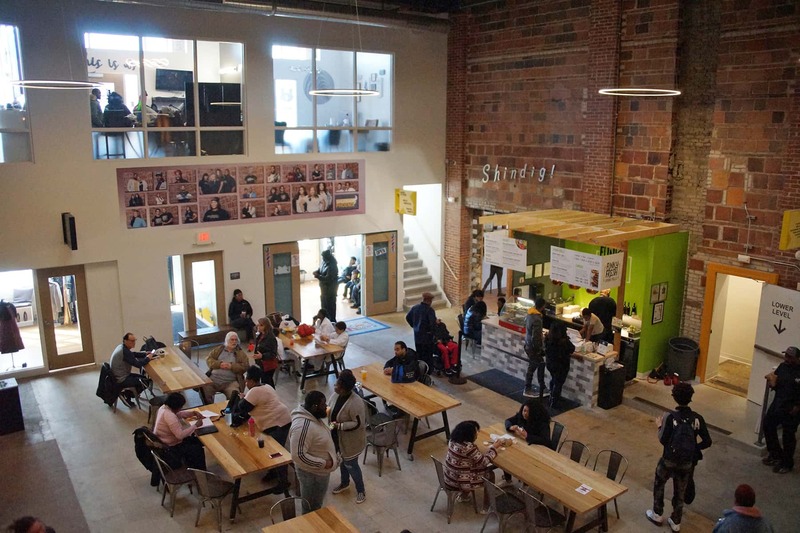 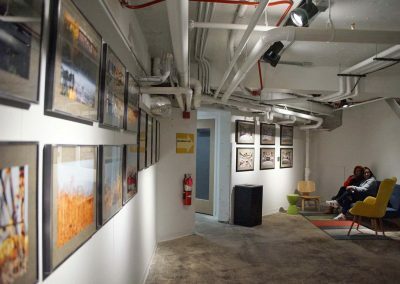 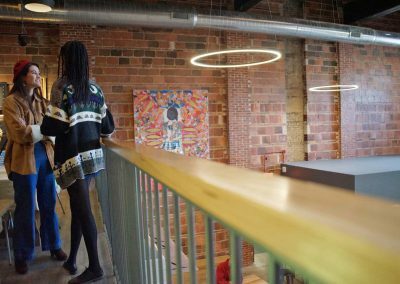 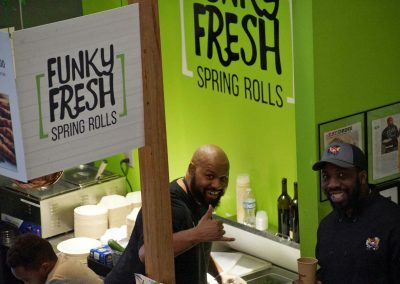 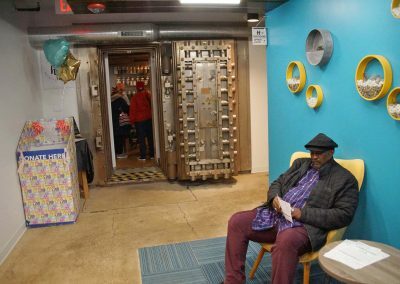 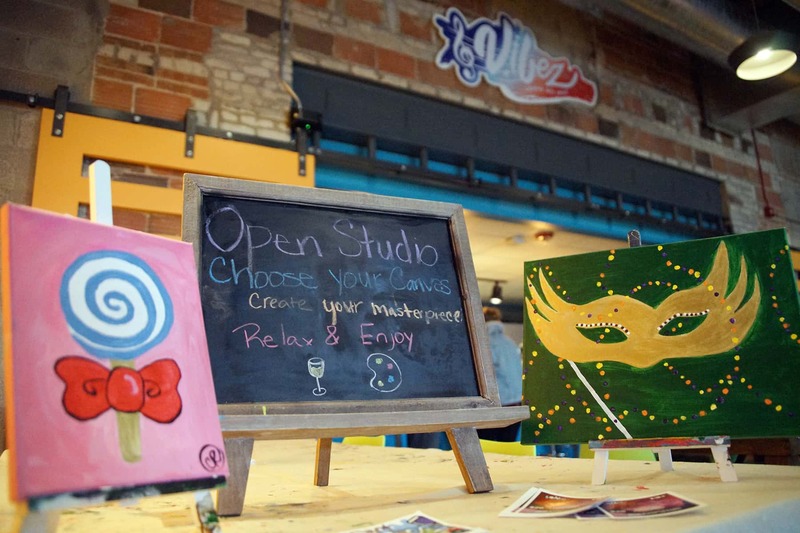 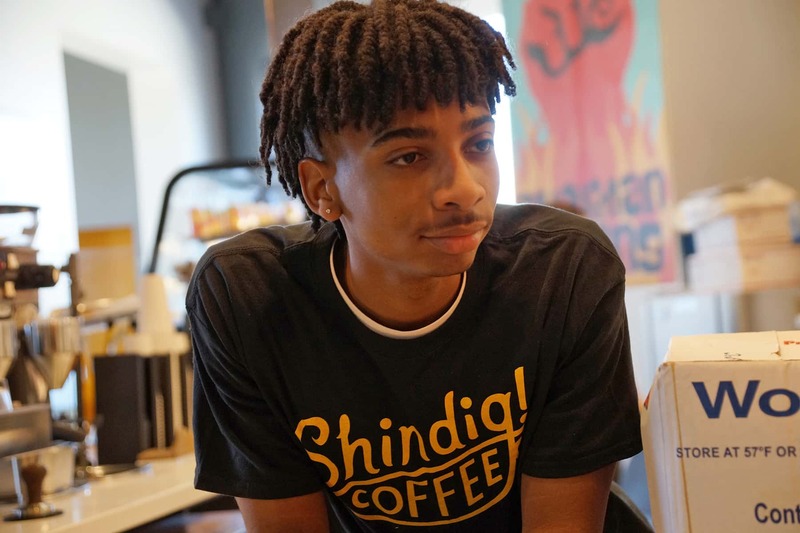 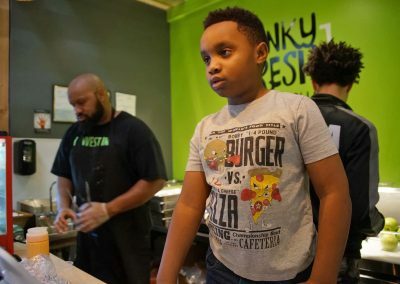 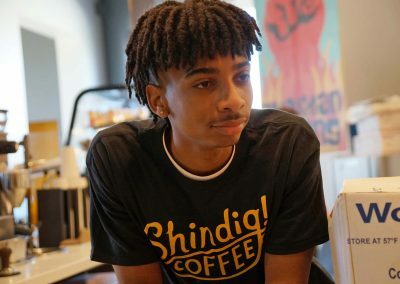 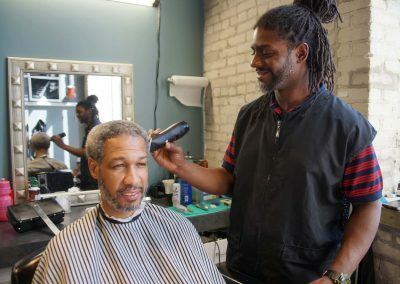 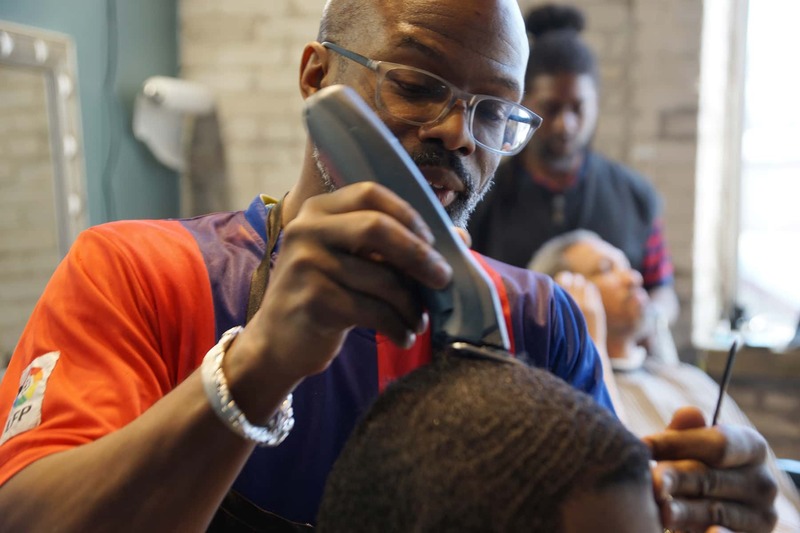 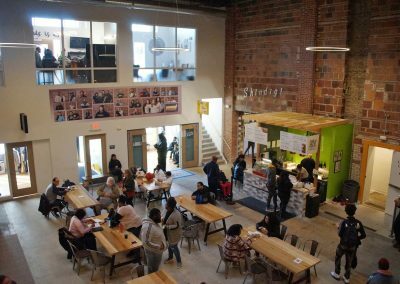 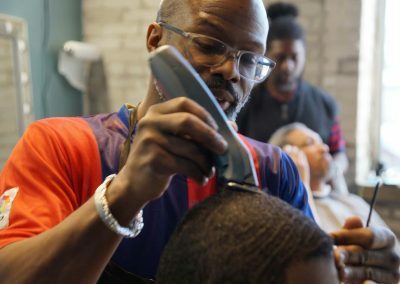 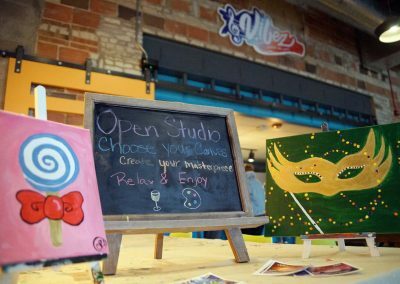 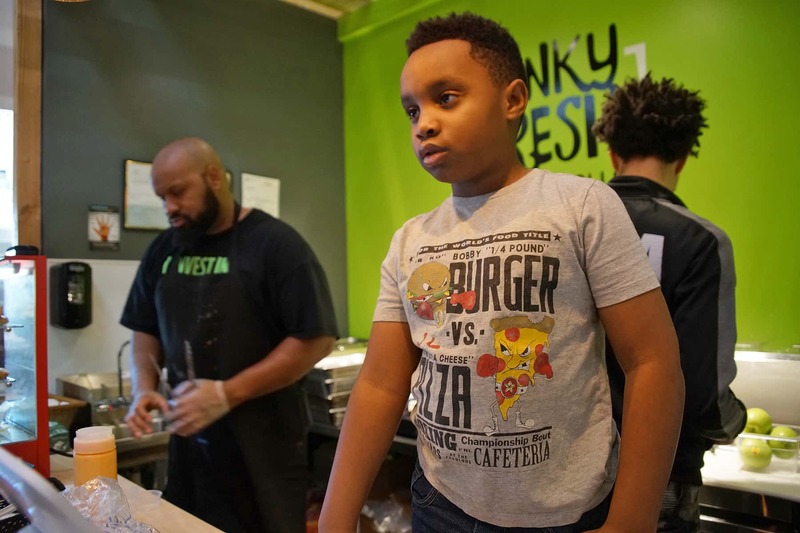 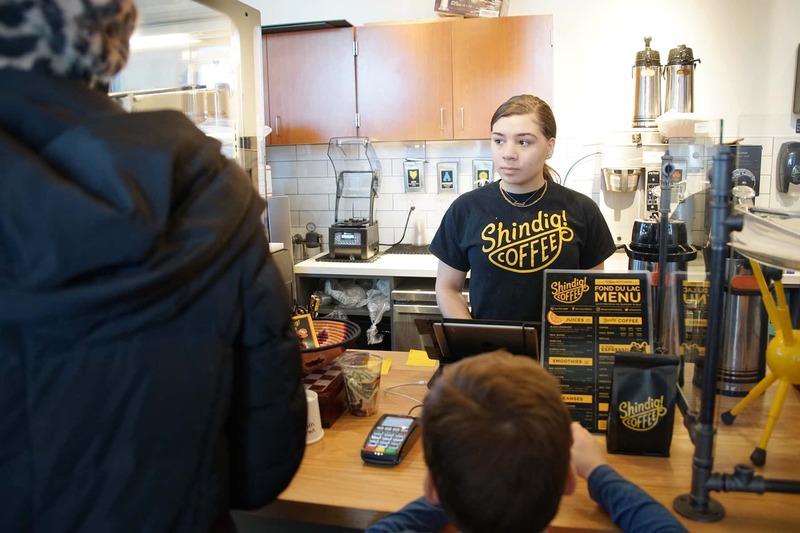 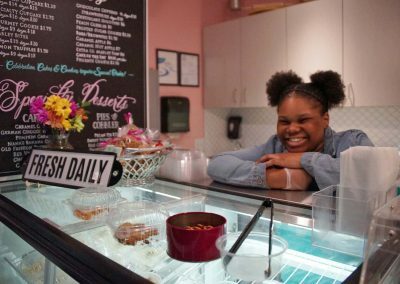 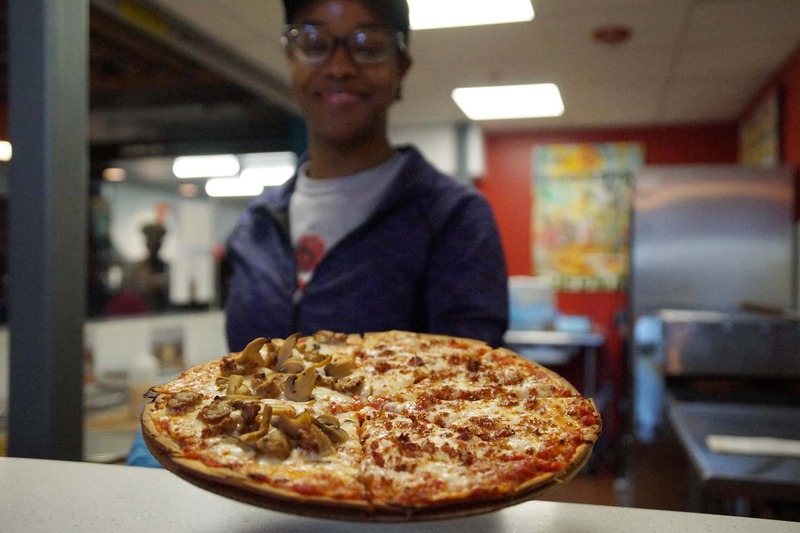 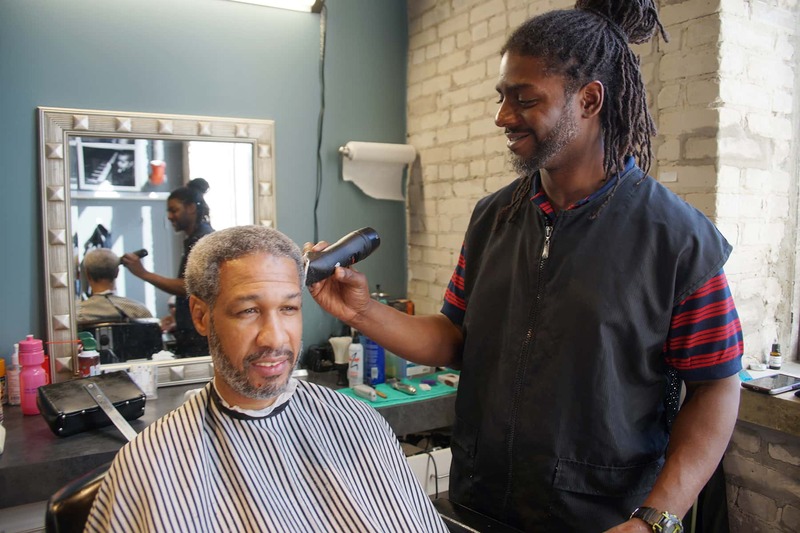 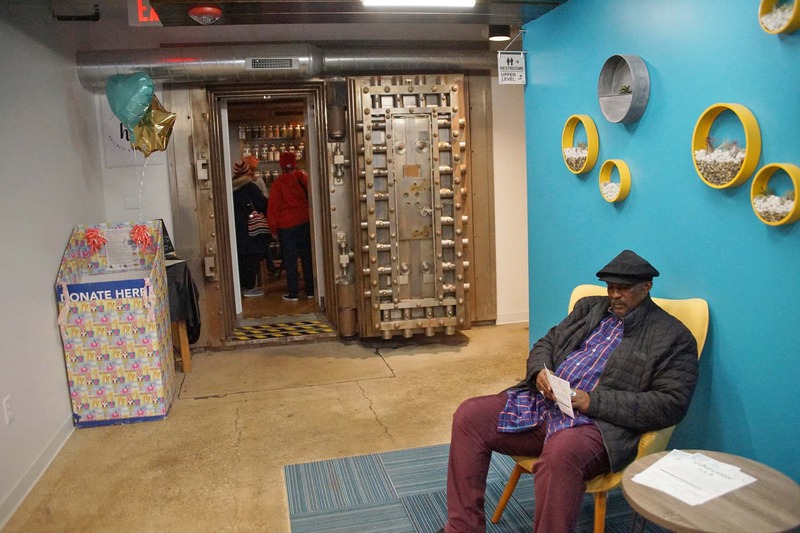 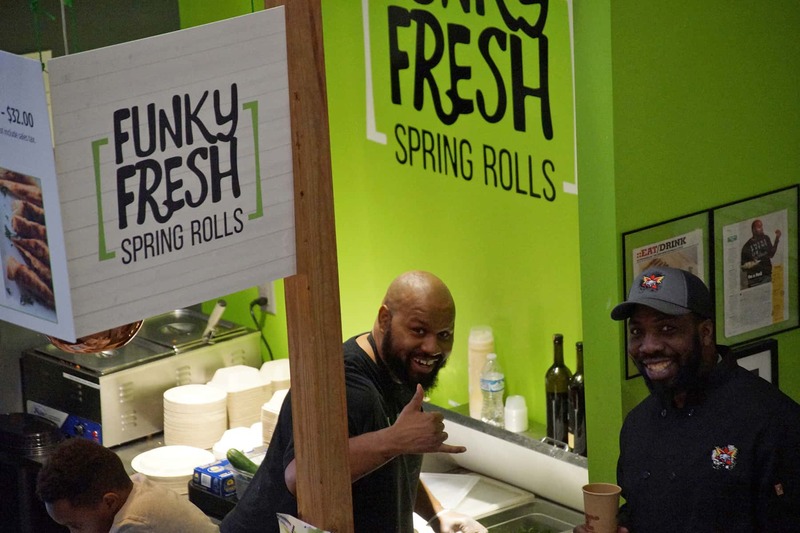 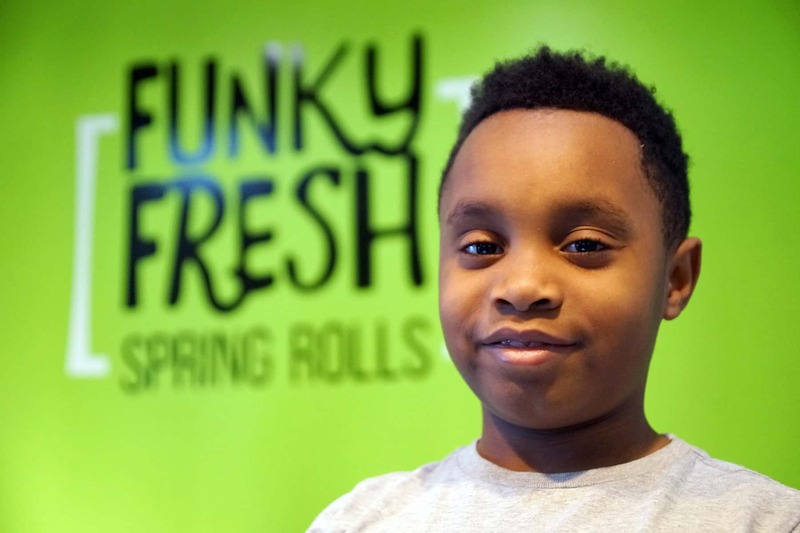 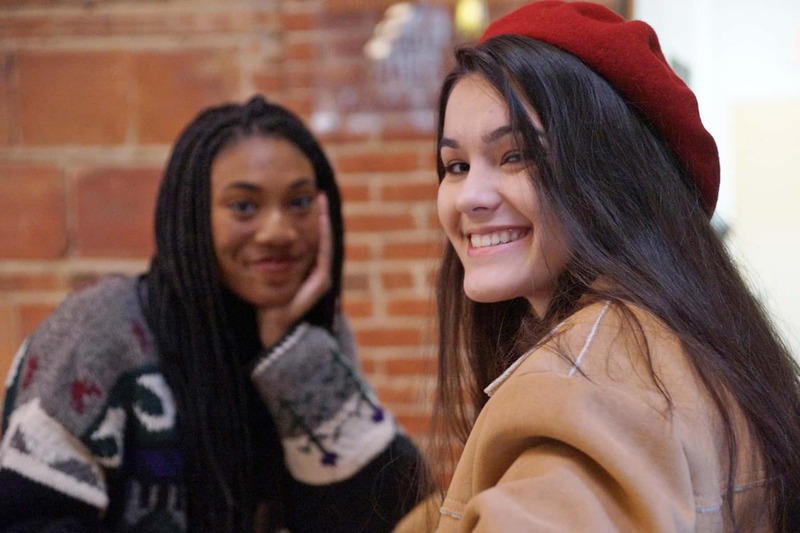 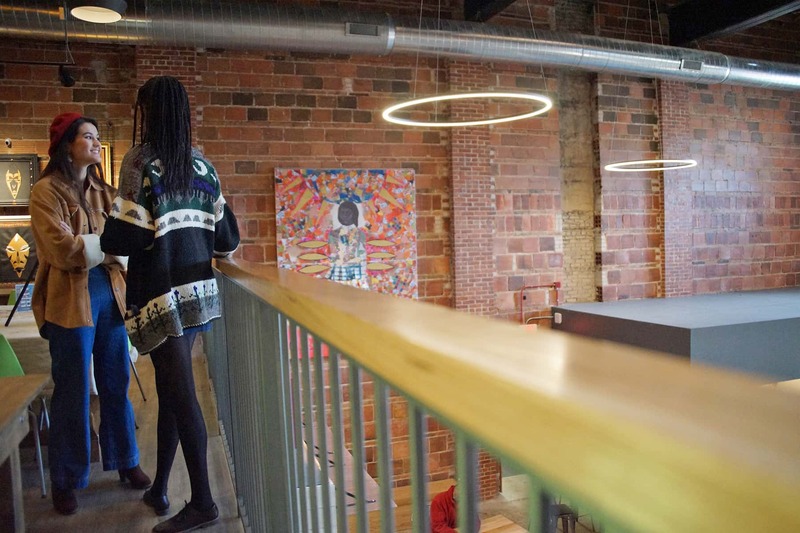 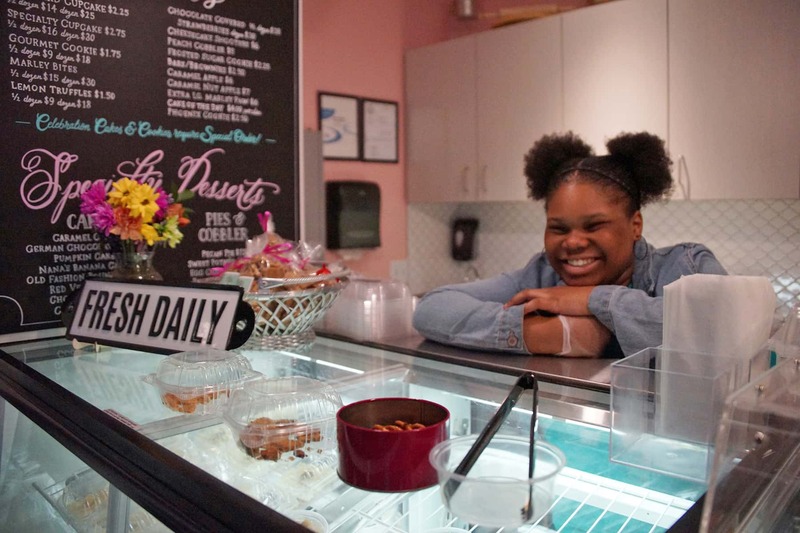 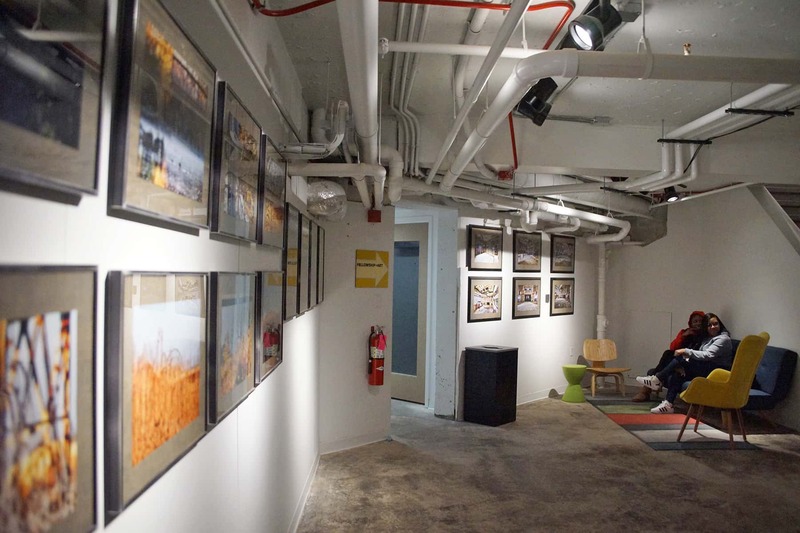 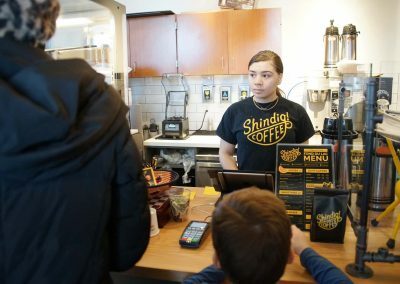 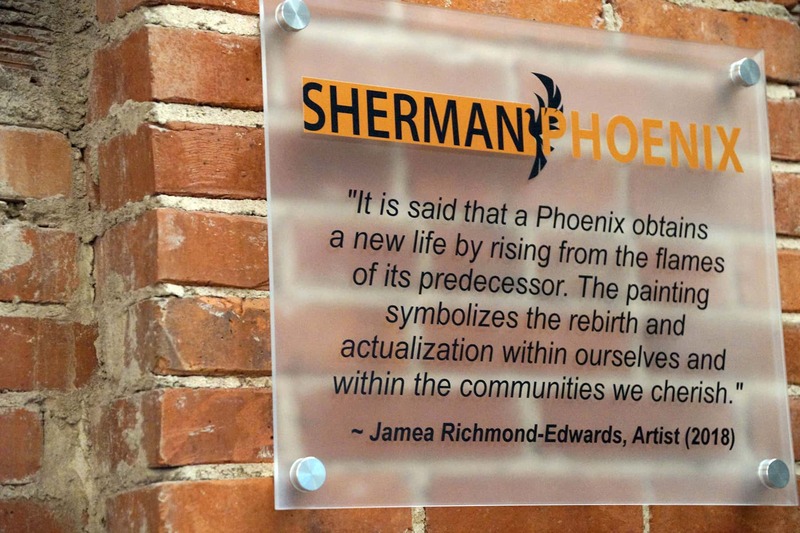 Since it opened in December 2018, Sherman Phoenix has become a permanent location for local businesses and a self-sustaining generator of jobs and commerce for the neighborhood. 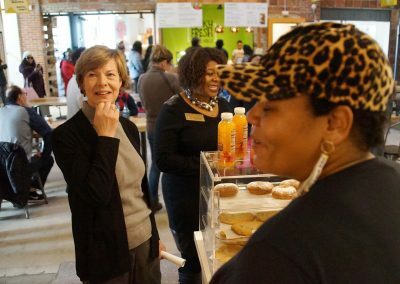 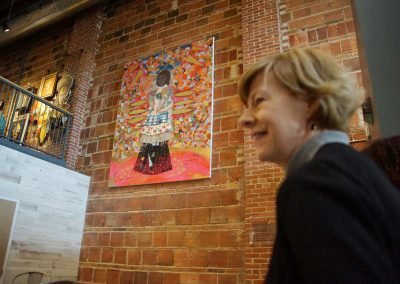 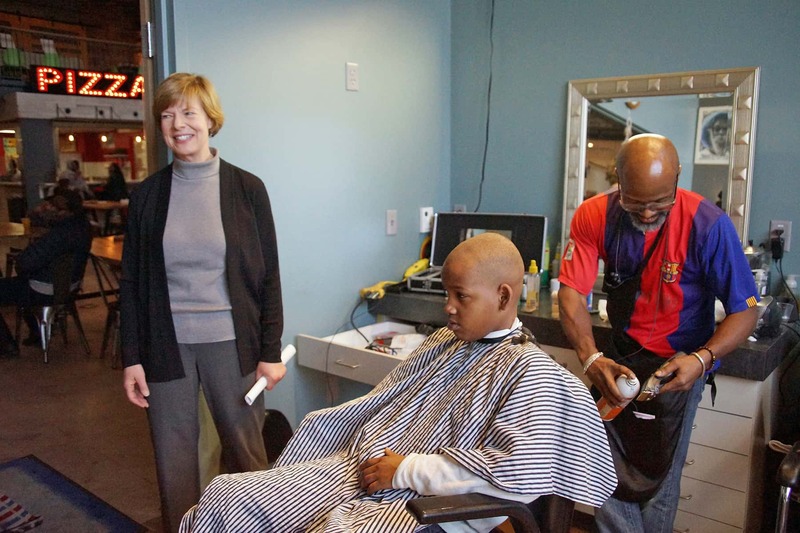 By coincidence, Senator Baldwin was in Milwaukee when the unrest occurred in Sherman Park. 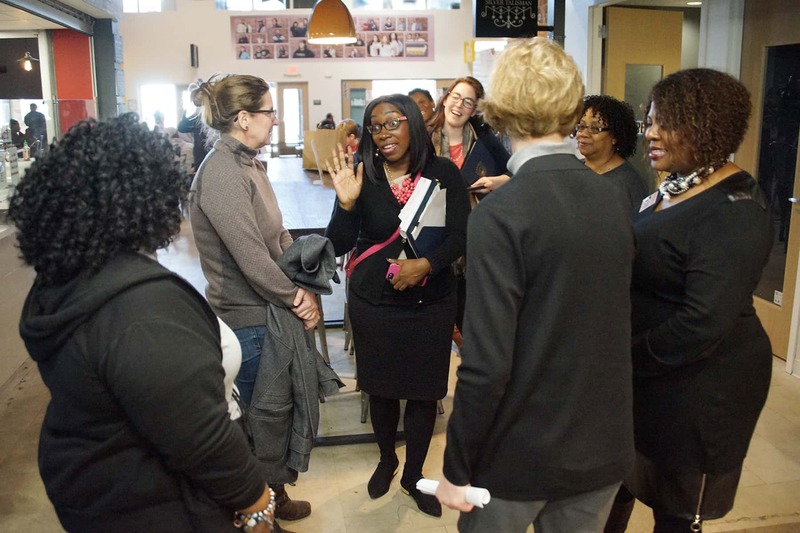 She was able to attend some of the early neighborhood meetings, when leaders from the community came together to deal with the crisis and find healing in its aftermath. 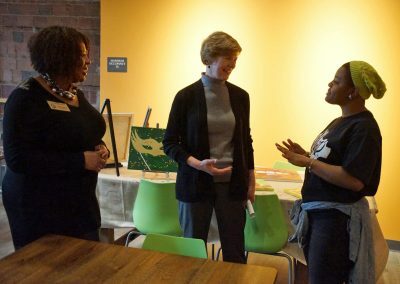 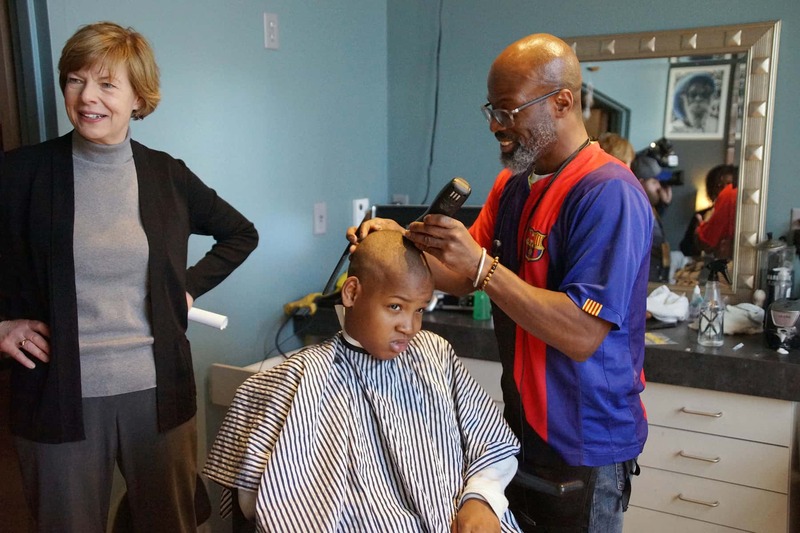 “Everyone had such pride in this particular neighborhood, Sherman Park,” said Senator Baldwin. 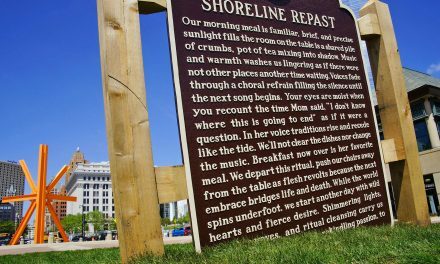 “So, to be standing here 2 1/2 years later and see that something tragic turned into something so helpful, it is heartwarming. 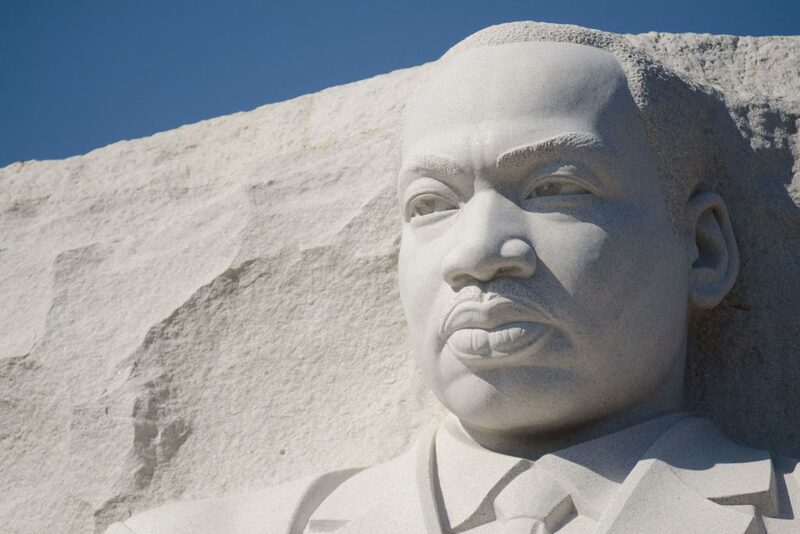 It took a lot of people working together. And maybe on that day of the community meeting, the day after all the violence that we saw, people couldn’t see this moment in the future. 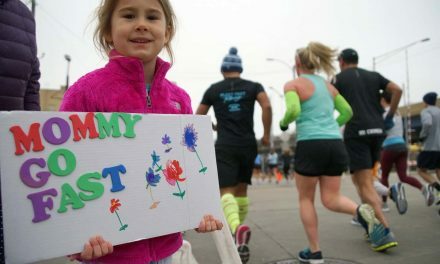 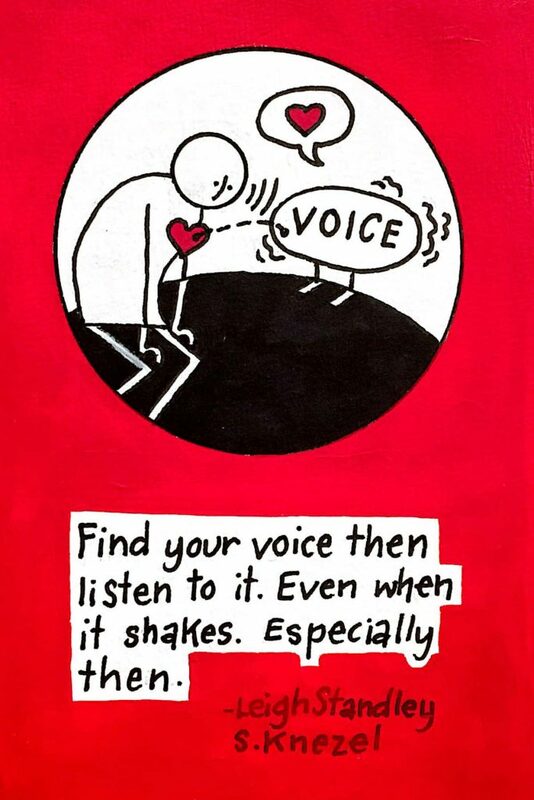 But I think the seeds for today were planted then. 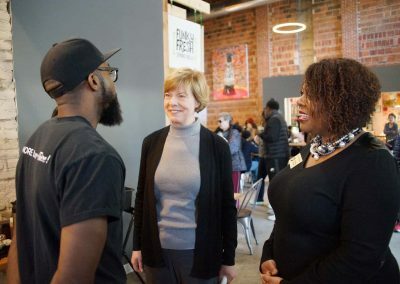 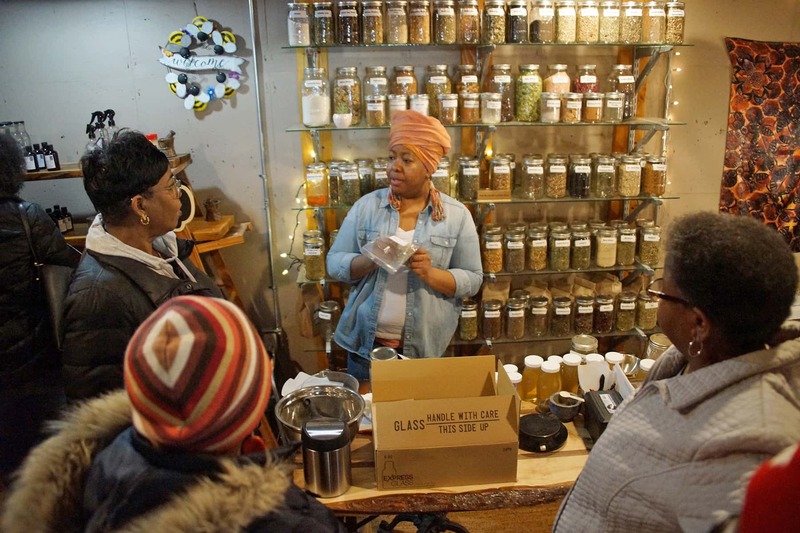 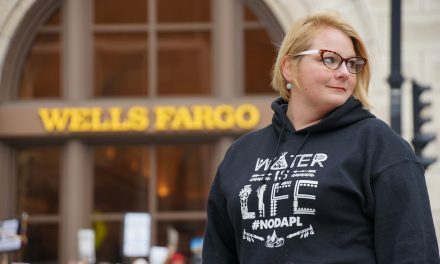 The Senator from Wisconsin said that she found it rewarding to see the location bubbling with life and excitement, and offered her congratulations to the entrepreneurs who went from an idea and a passion to a profit-making business. 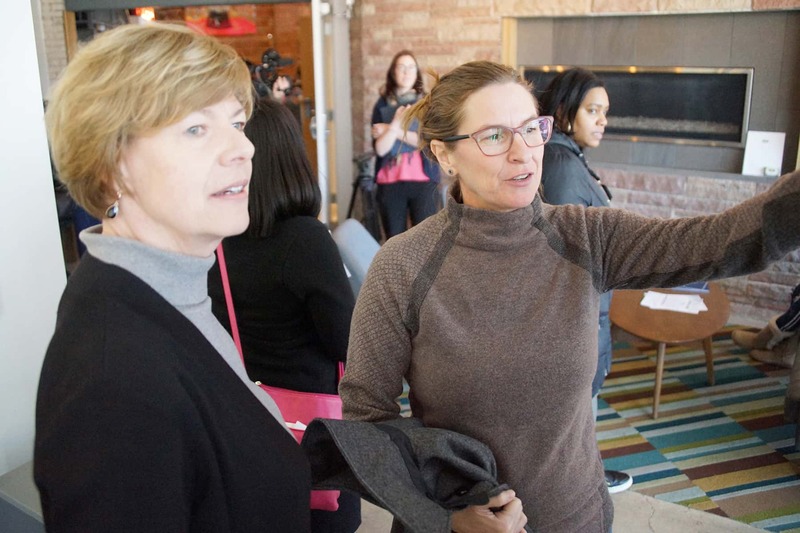 For the tour, she was joined by co-owner Juli Kaufmann The last time Senator Baldwin visited the location, she had to wear a hardhat because the site was still under construction and no tenants had moved in. 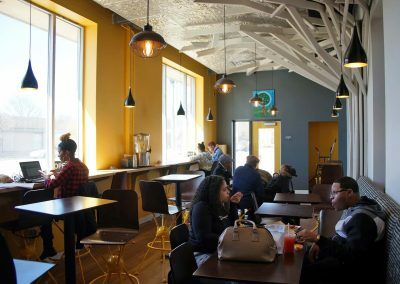 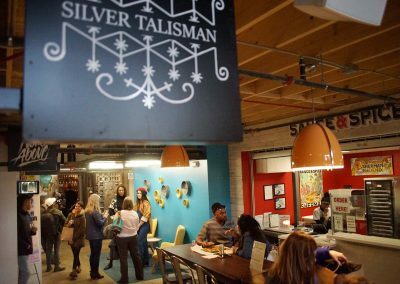 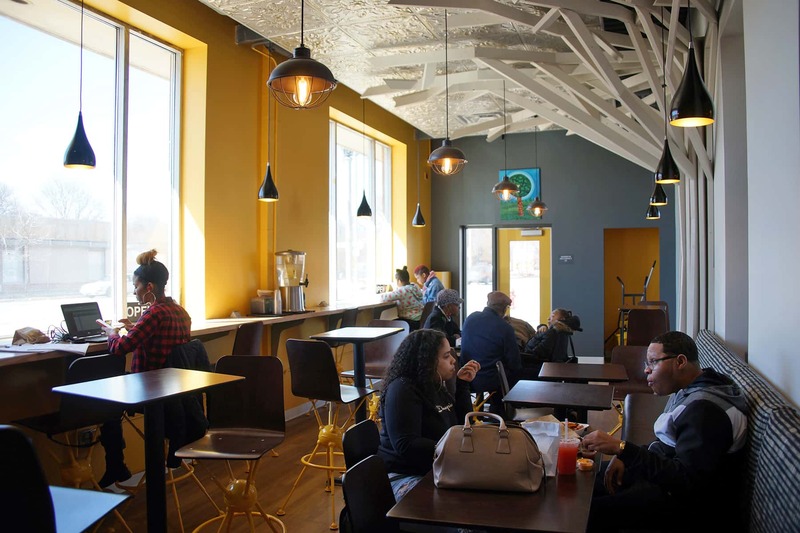 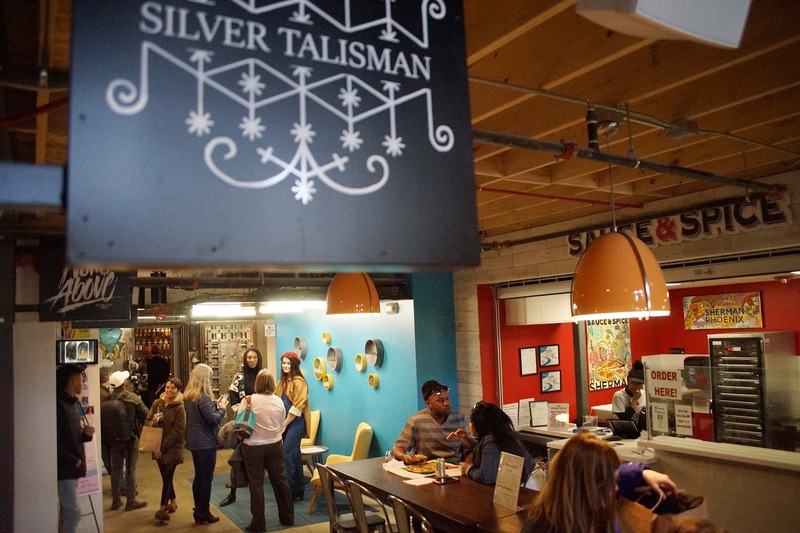 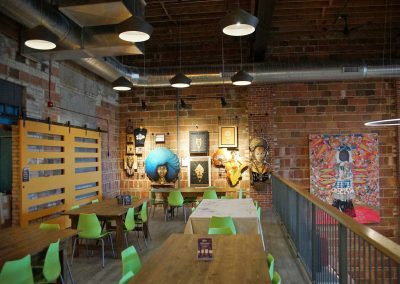 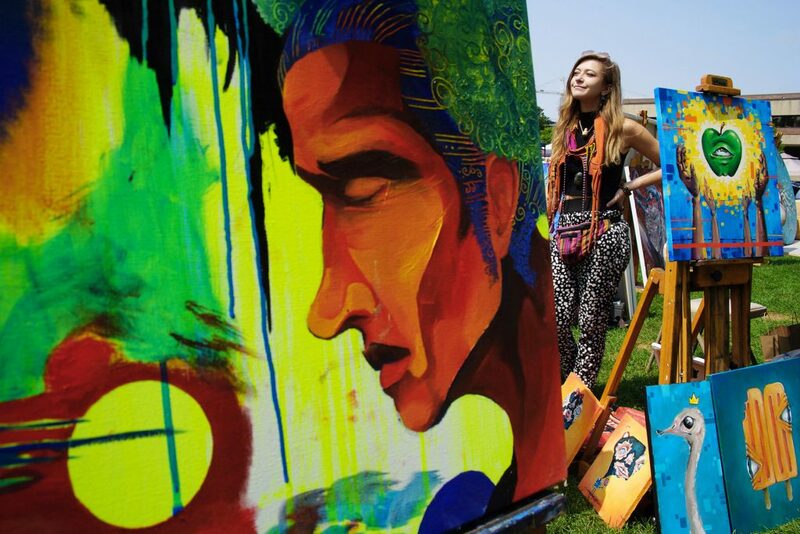 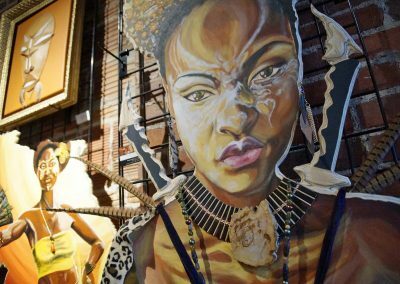 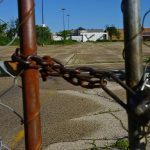 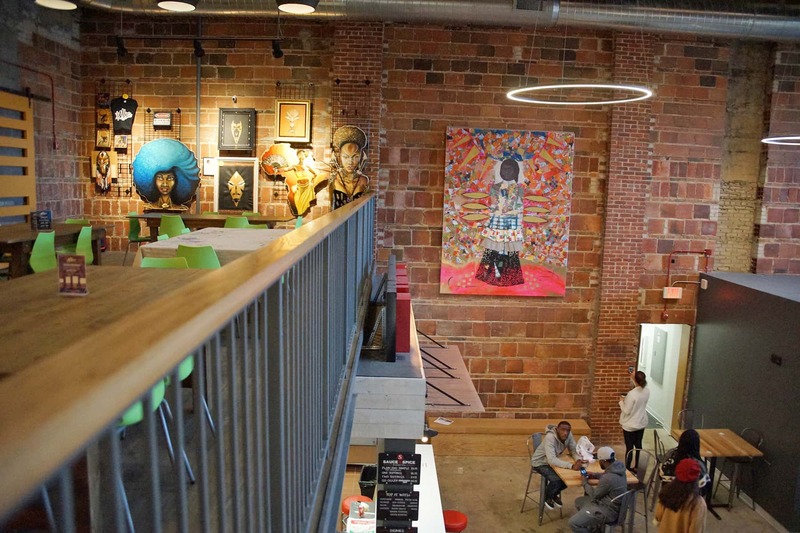 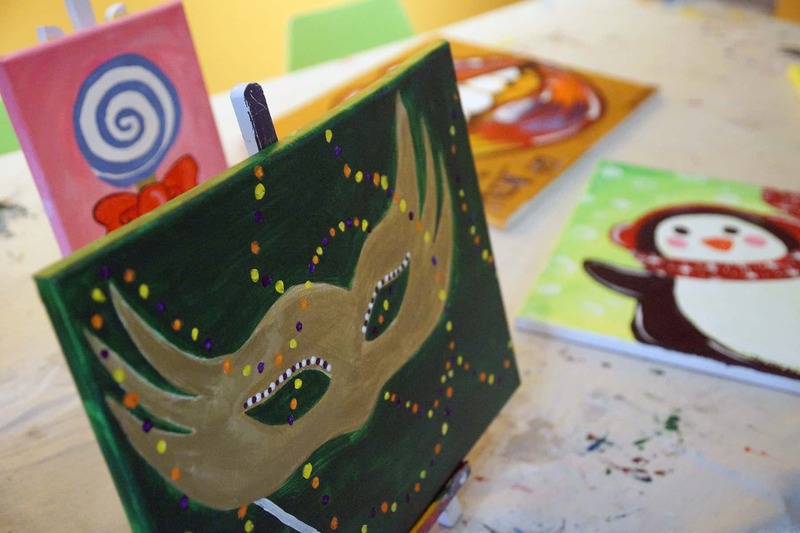 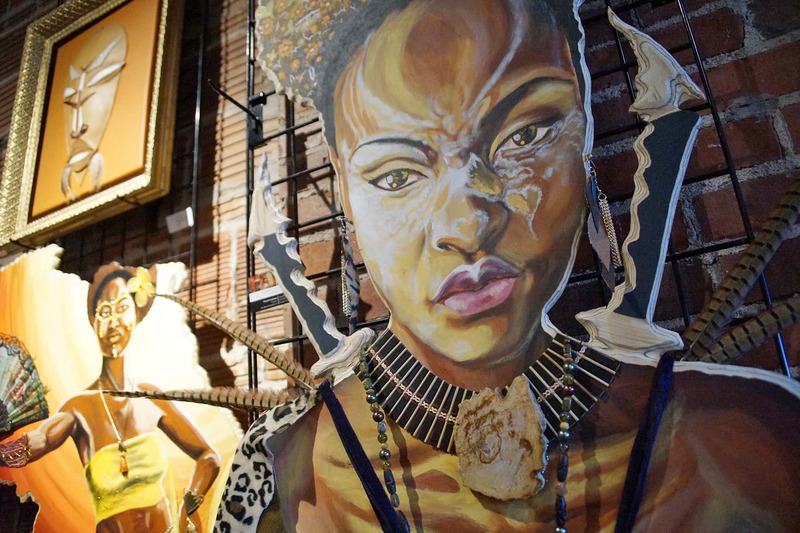 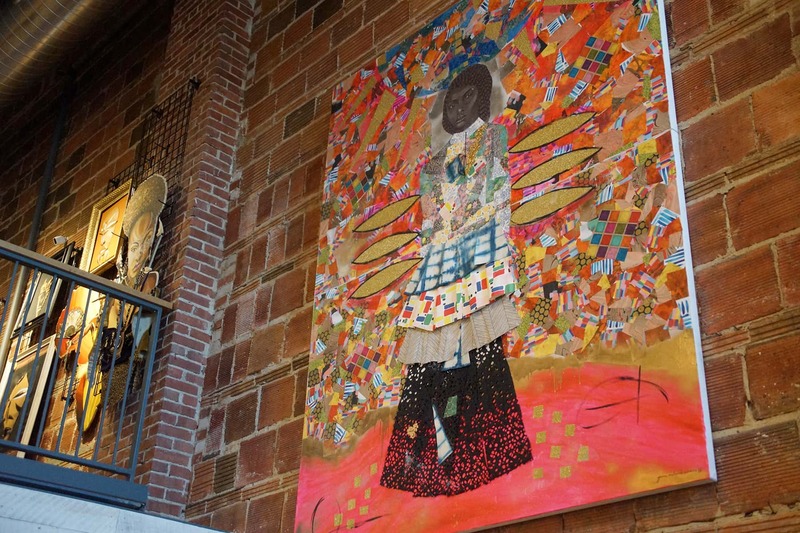 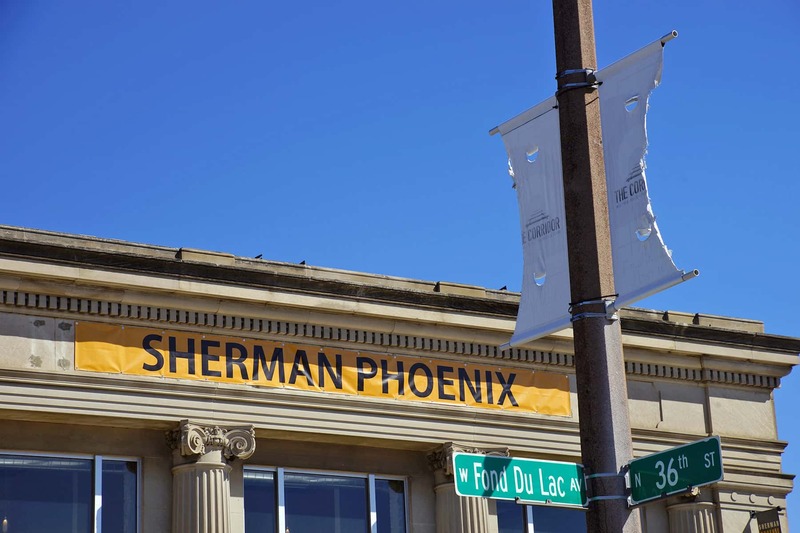 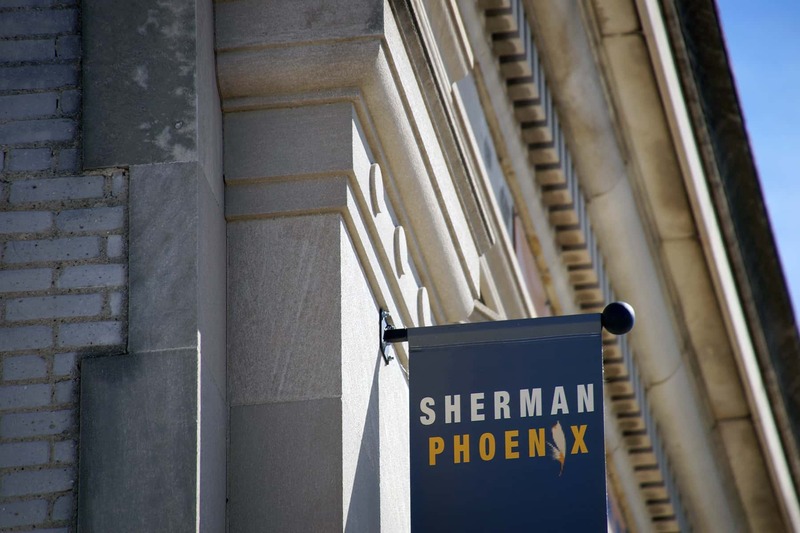 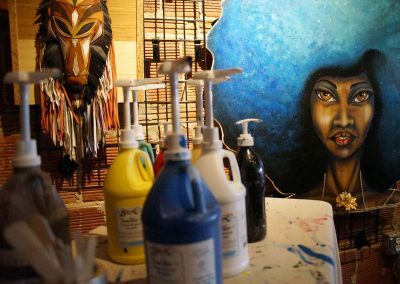 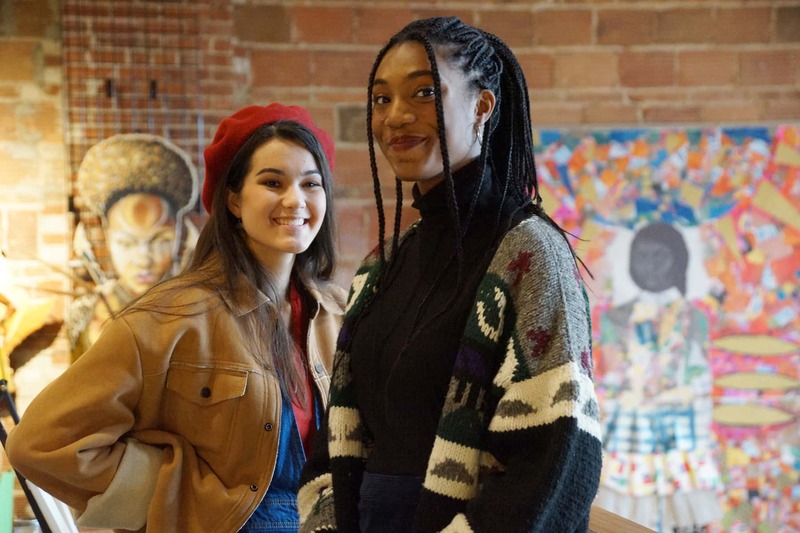 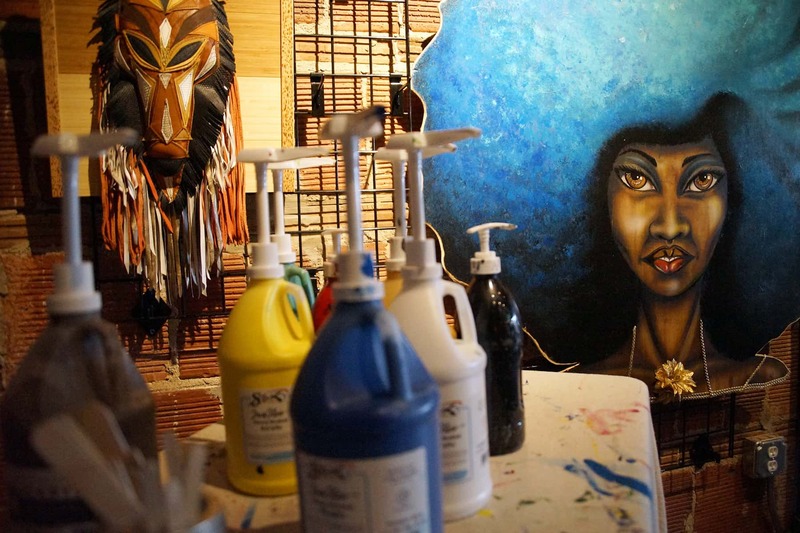 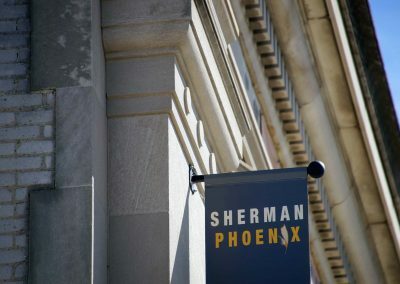 Described as a model for healing Milwaukee by generating positive economic and social returns for communities of color, the Sherman Phoenix redevelopment symbolizes the mythical bird that obtains new life by arising from the ashes of its predecessor. 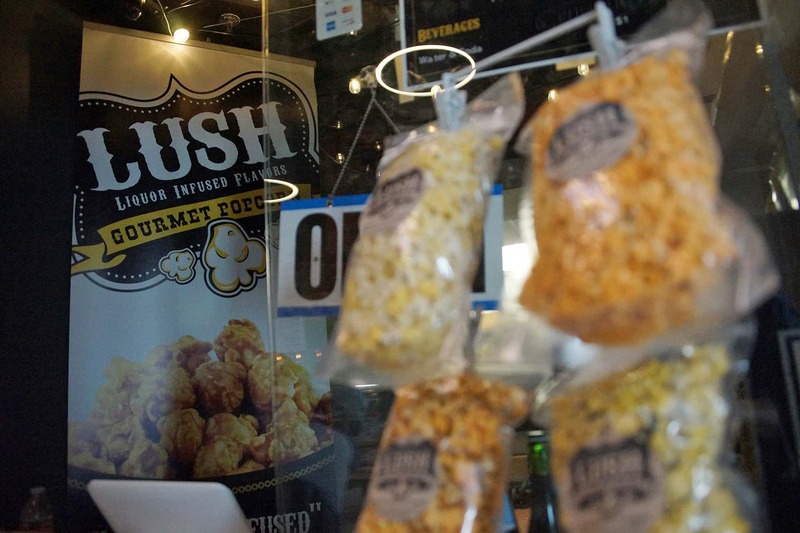 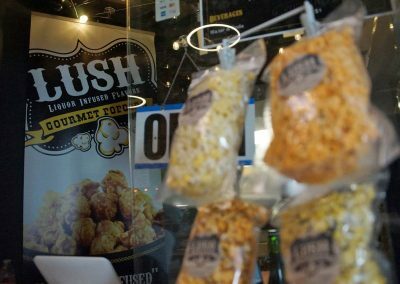 The 27 small businesses based within the building have so far produced more than 75 local jobs ranging from food, to culture, to health and wellness, and include Buffalo Boss, Confectionately Yours, Funky Fresh Spring Rolls, Lush Popcorn, The Next Level Vegans, Purple Door Ice Cream, Sauce & Spice, Shindig Coffee, 2 Kings Barber Shop, Gener8Tor/Fellowship Art, Hello Beautiful, The Lash Factory, Core/Maximizing Potential, None Above, Shampoo’ed, Queen’s Closet, Rhoyal Trinity, Silver Talisman, So Greedy, Theresa Do My Nails, Vibez Creative Arts Space, Health & Wellness, Embody Yoga, 9th Cloud Therapy, Honeybee Sage Wellness & Apothecary, Amri Counseling, Hands At Home, and Studio 69.